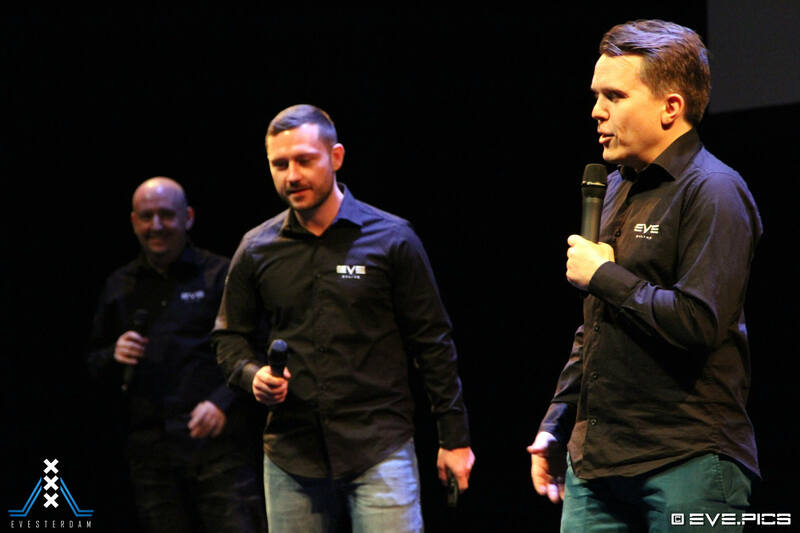 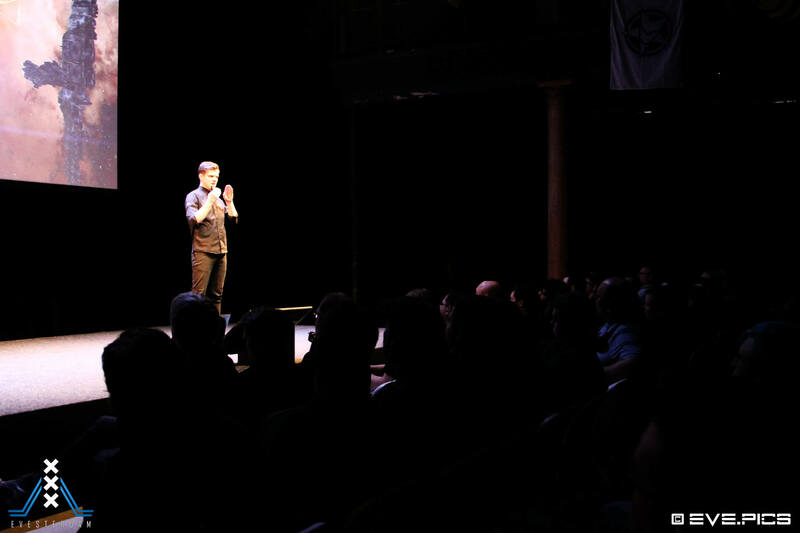 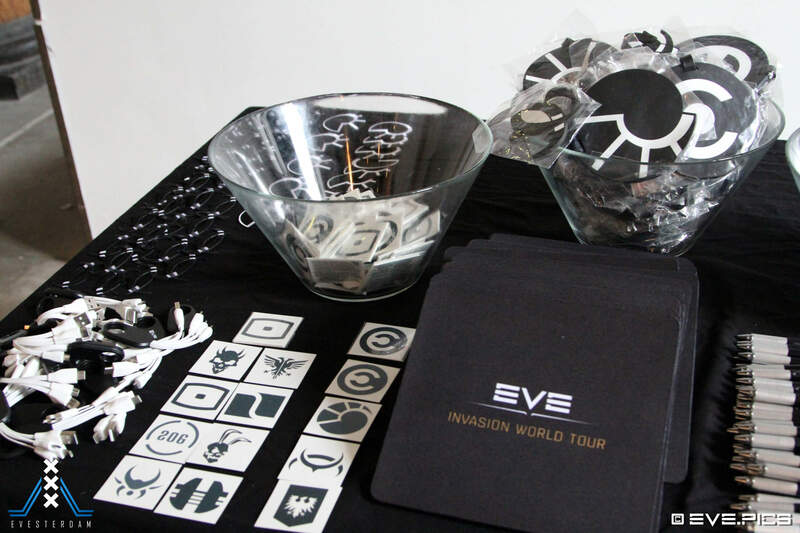 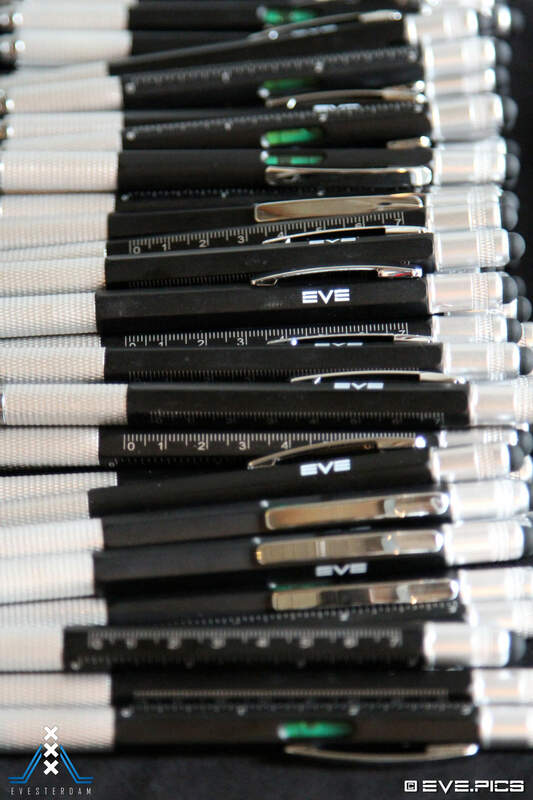 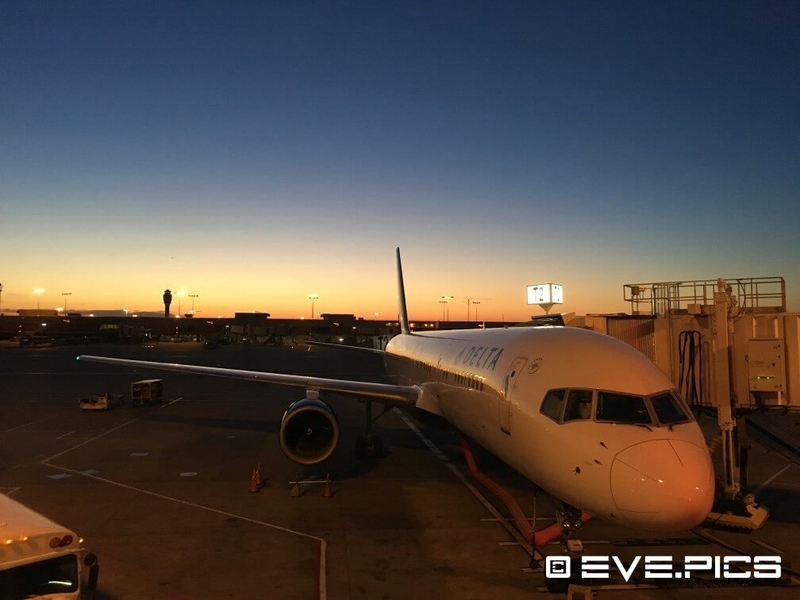 Last weekend marked the first stop of the Eve Invasion World Tour. 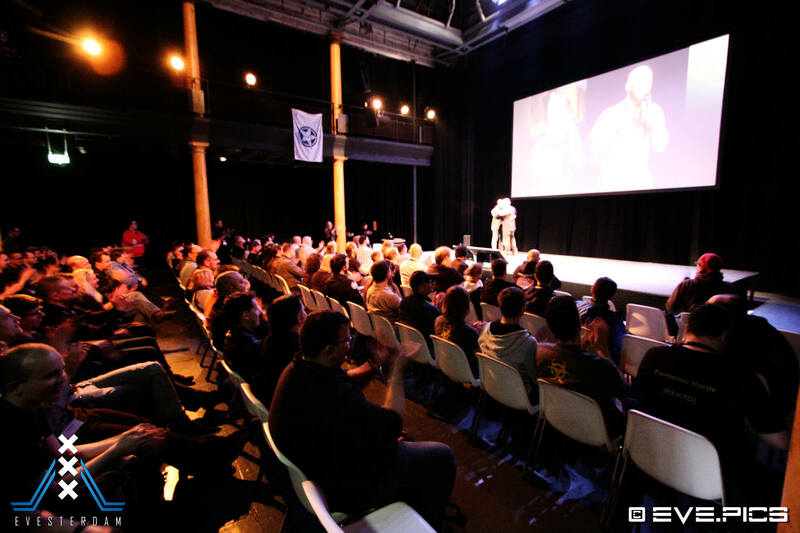 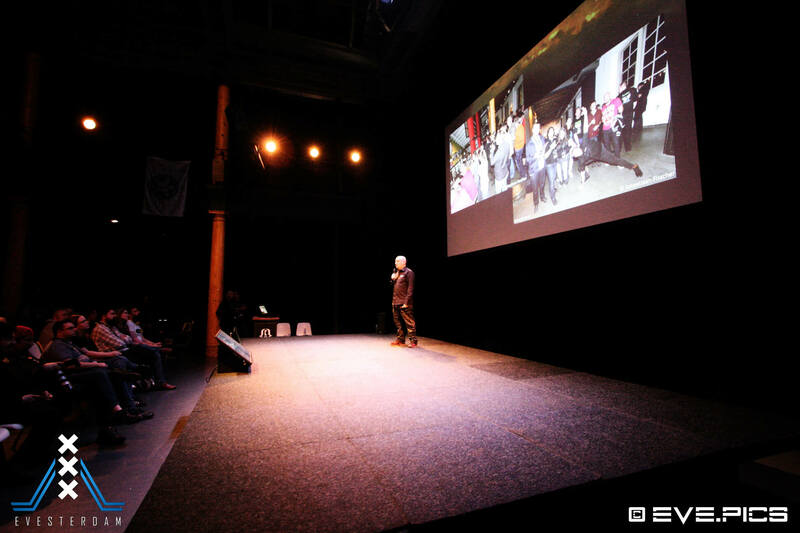 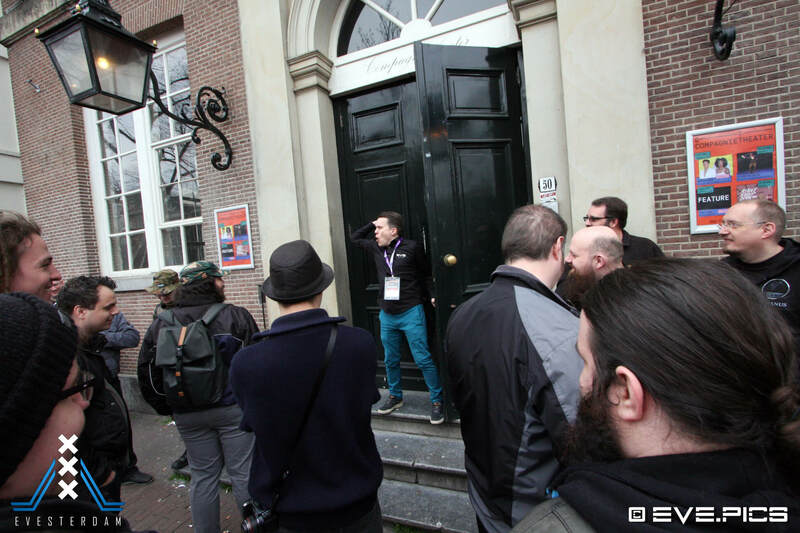 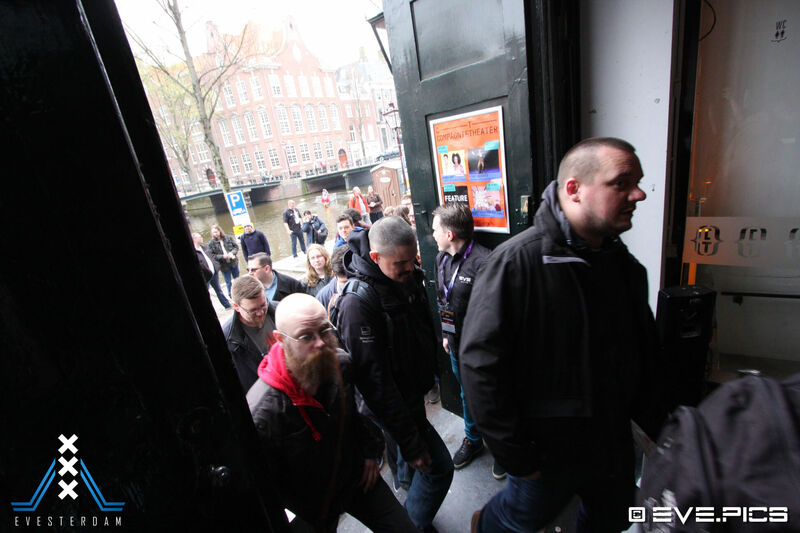 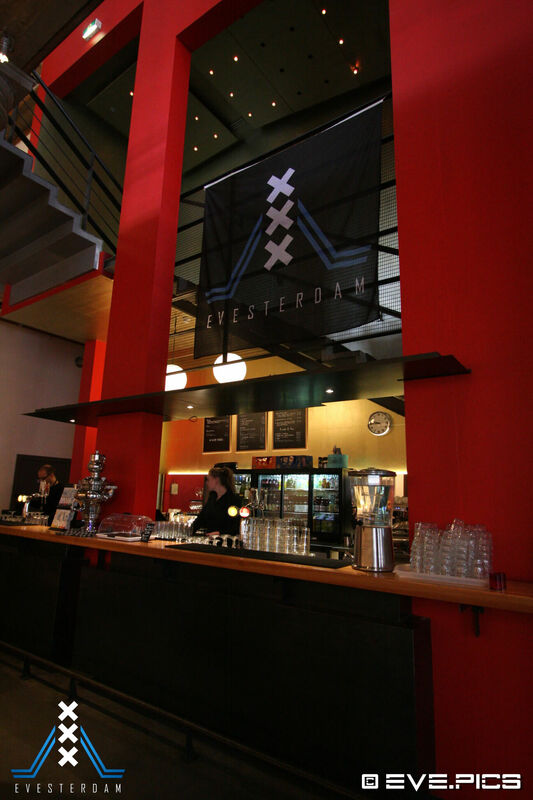 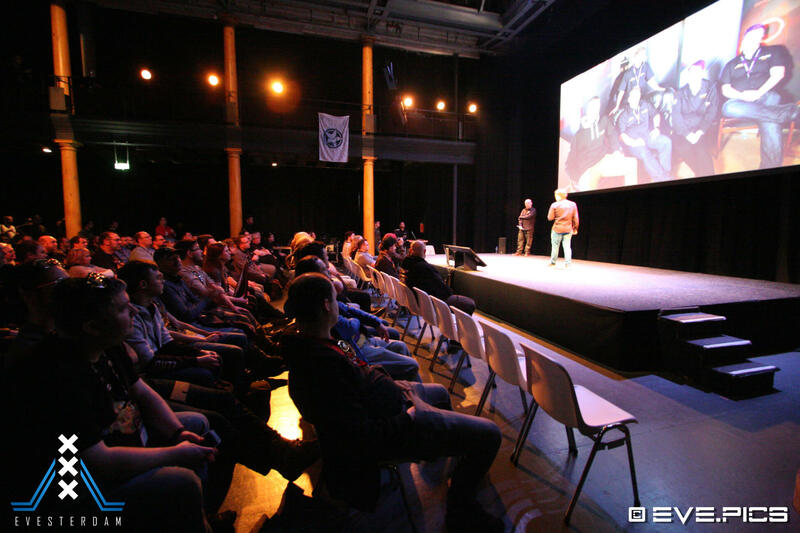 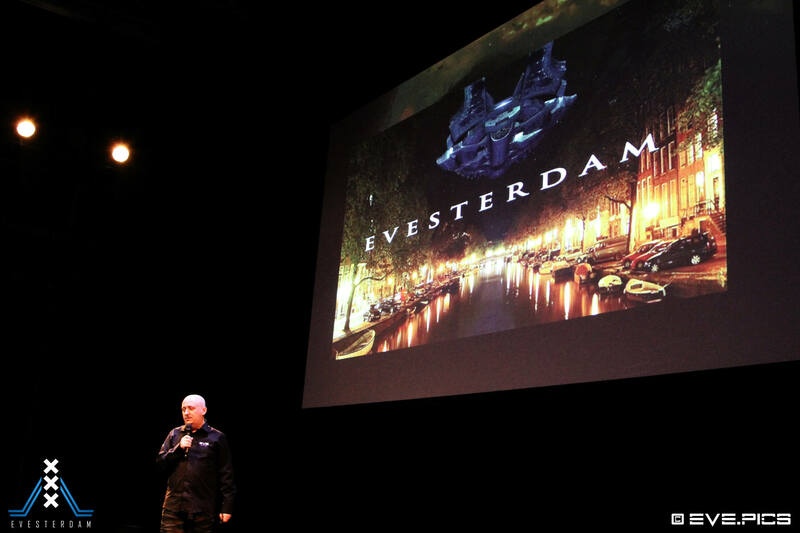 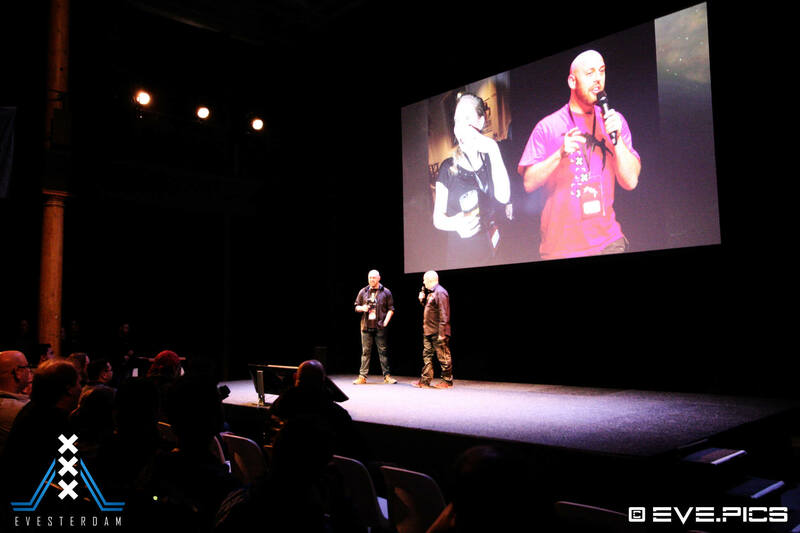 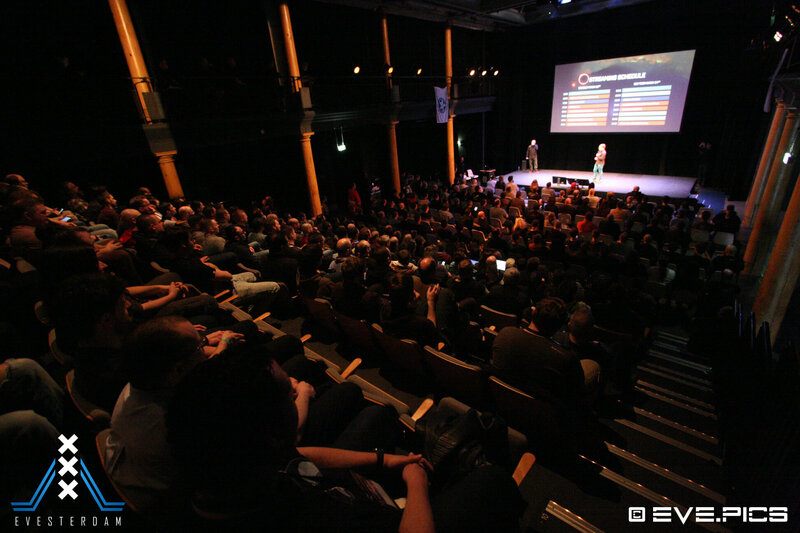 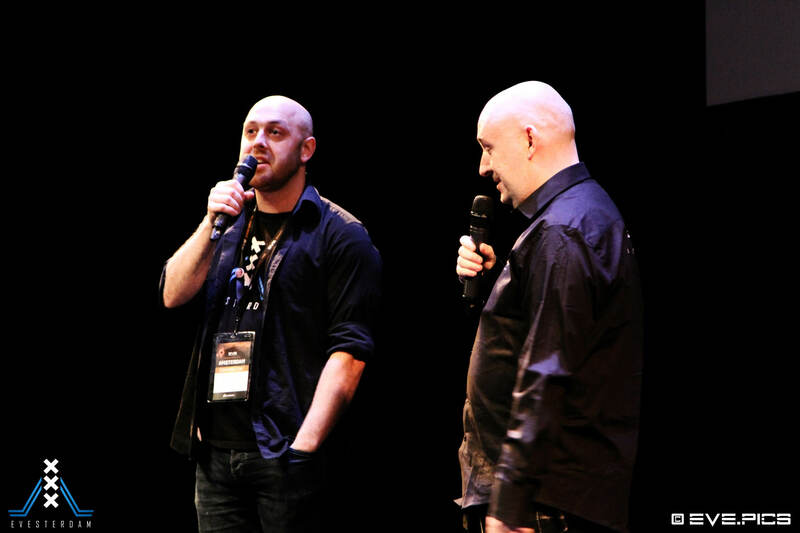 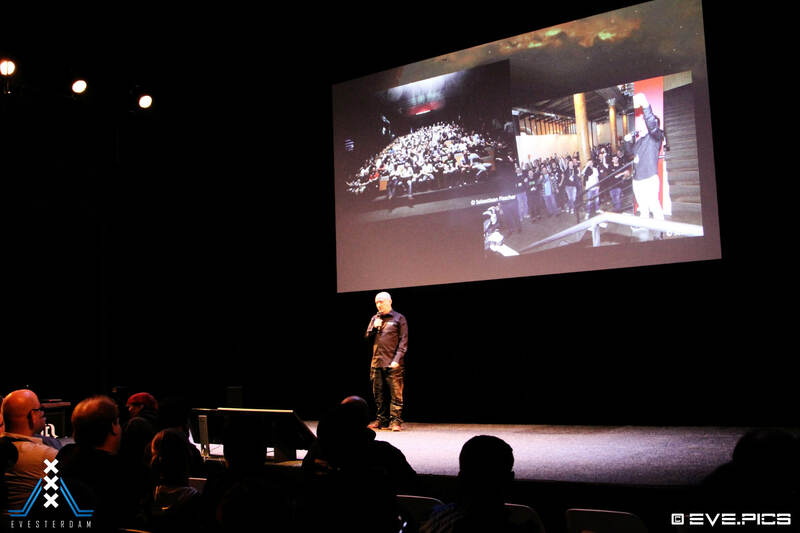 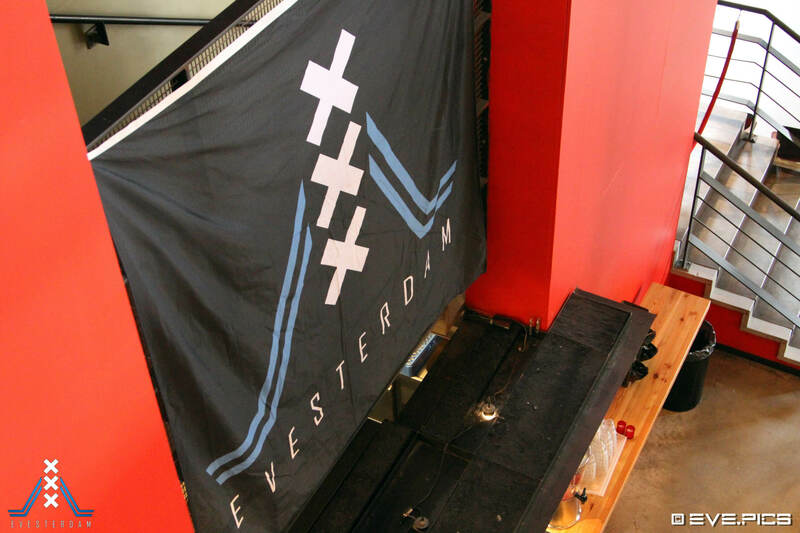 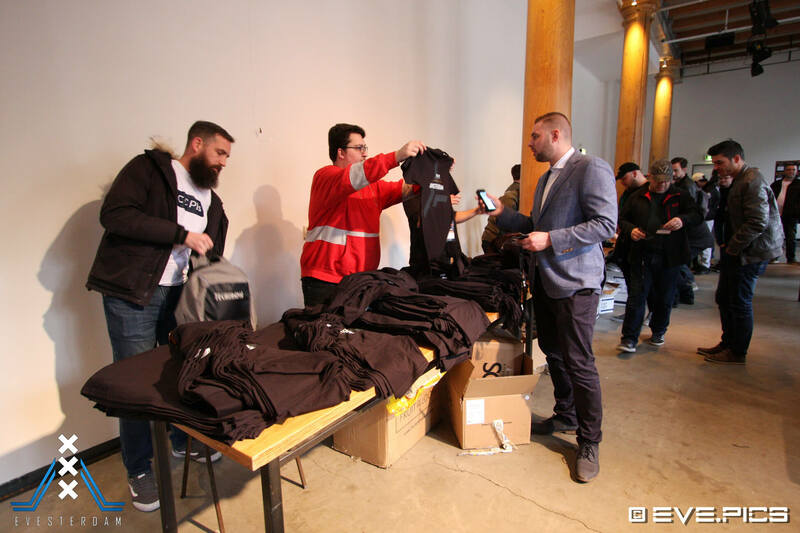 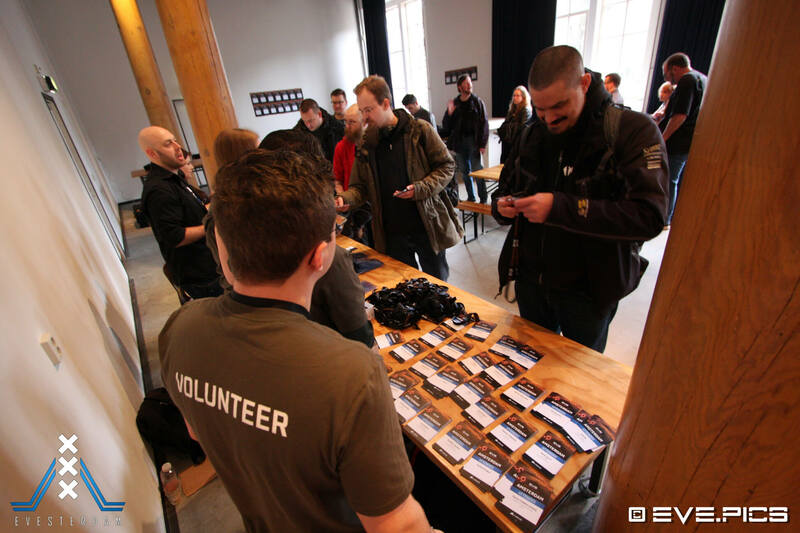 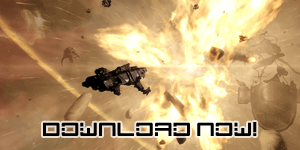 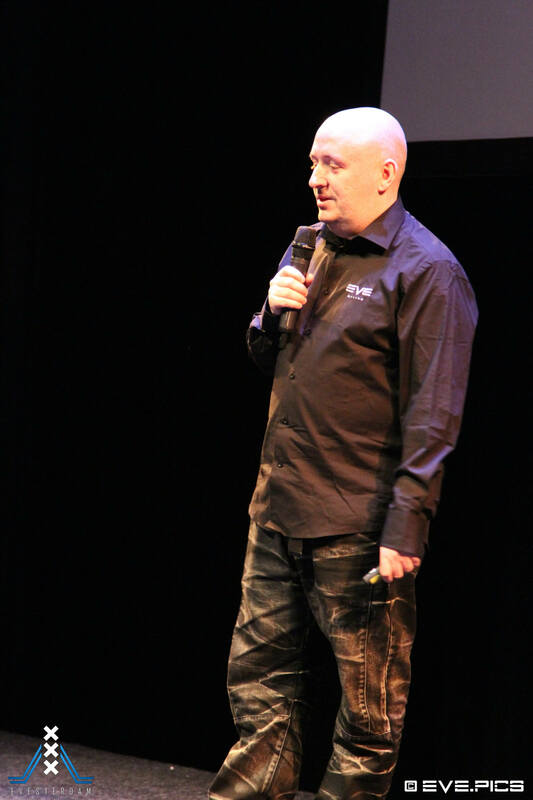 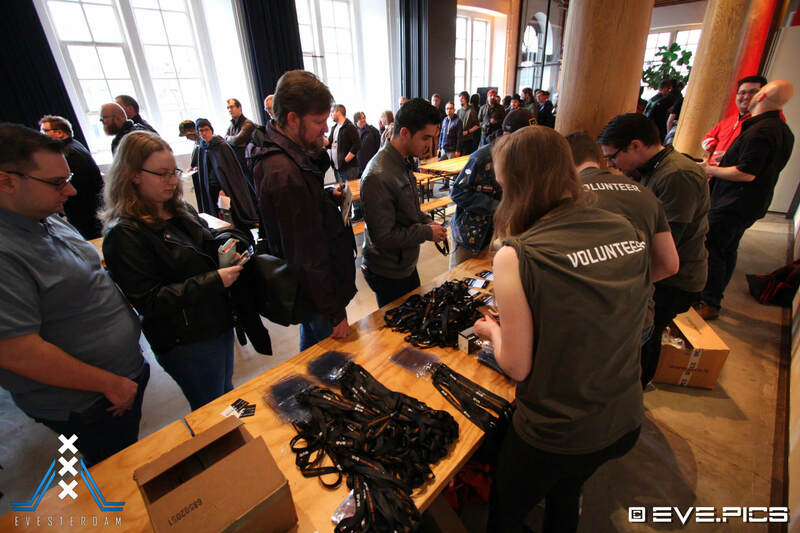 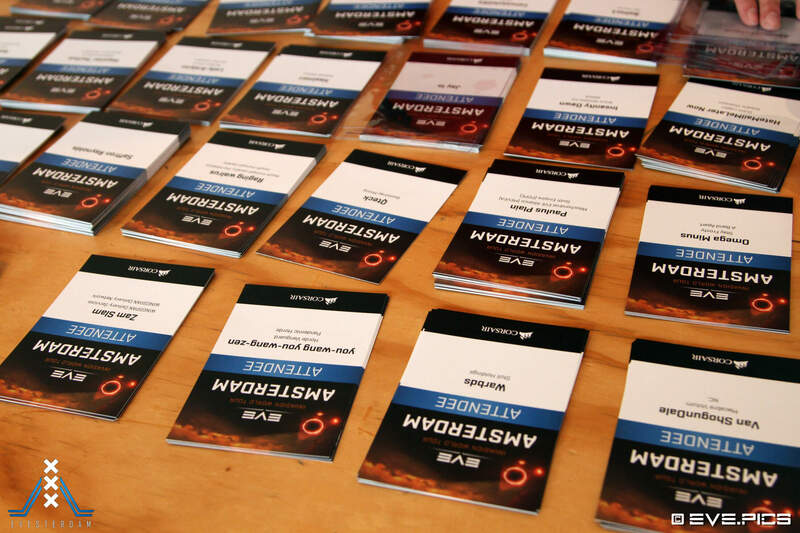 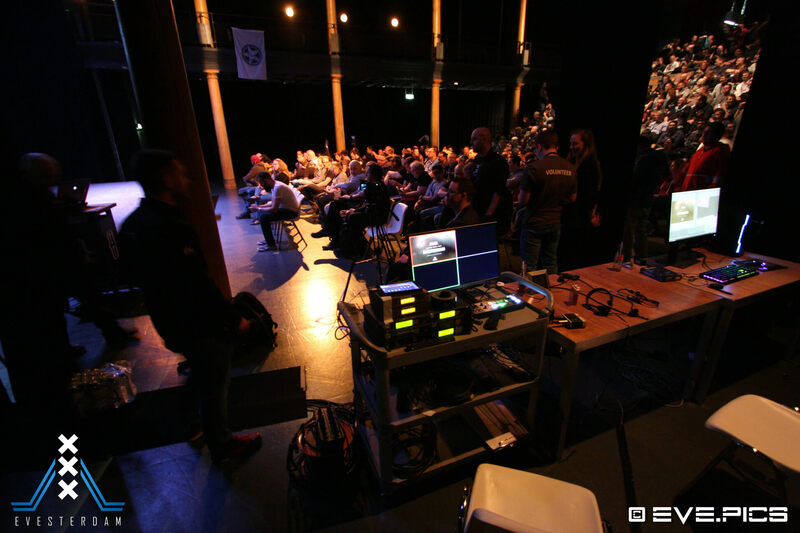 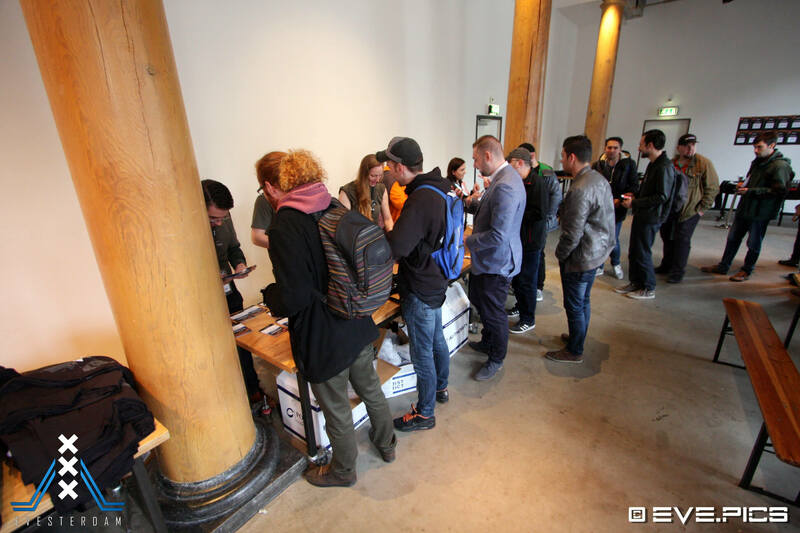 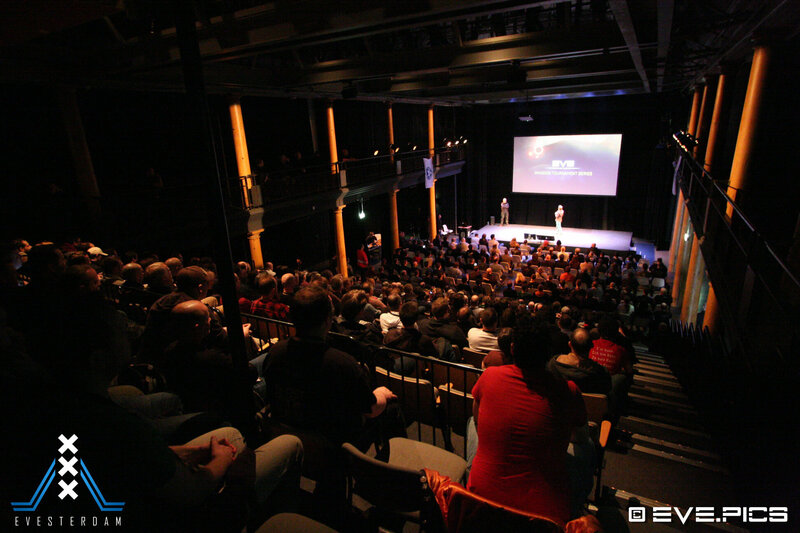 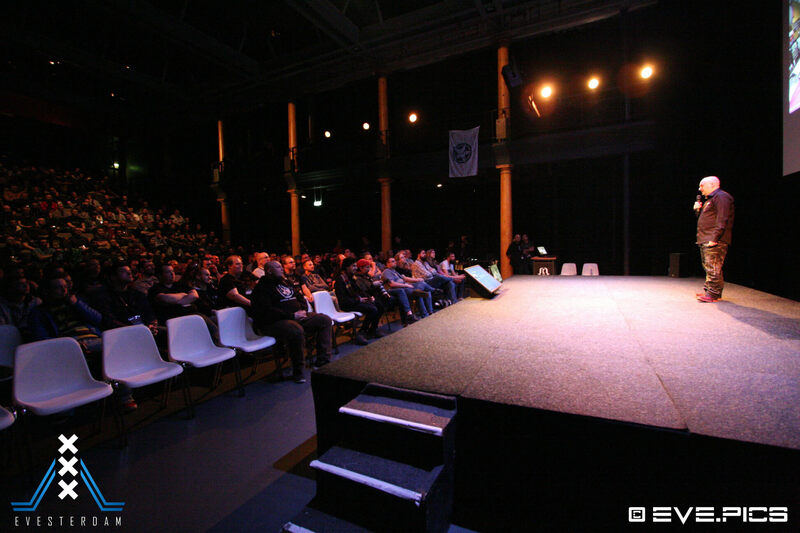 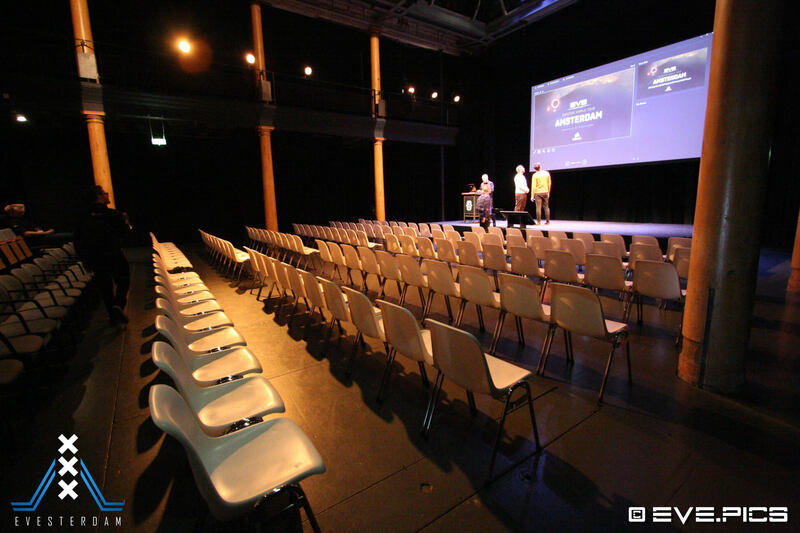 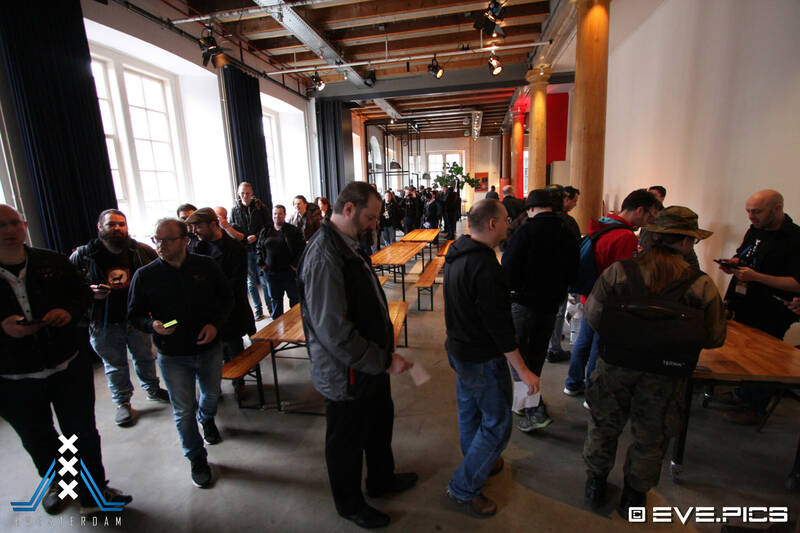 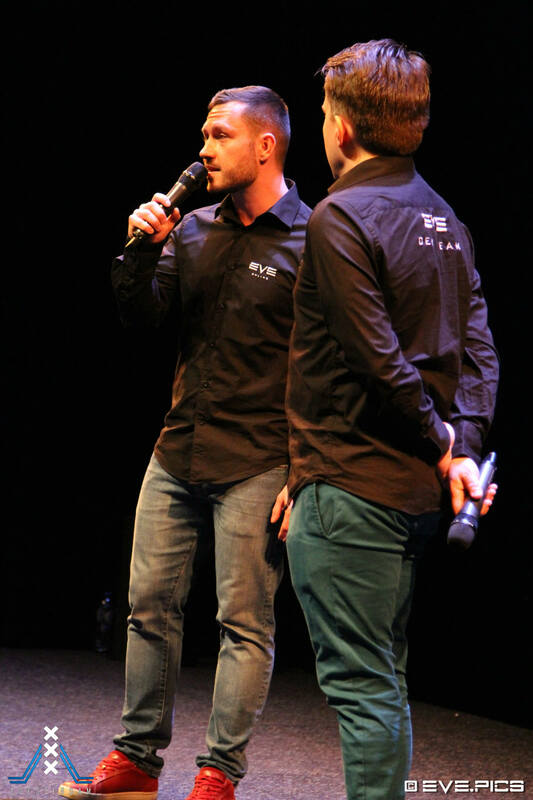 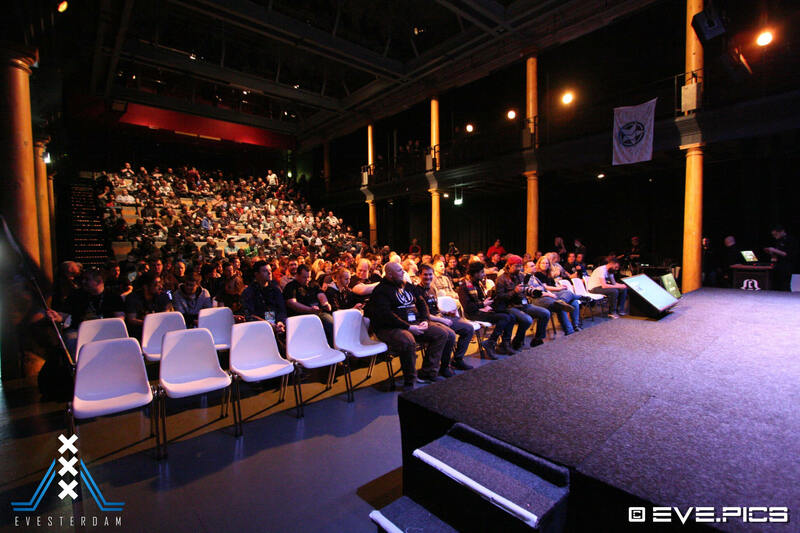 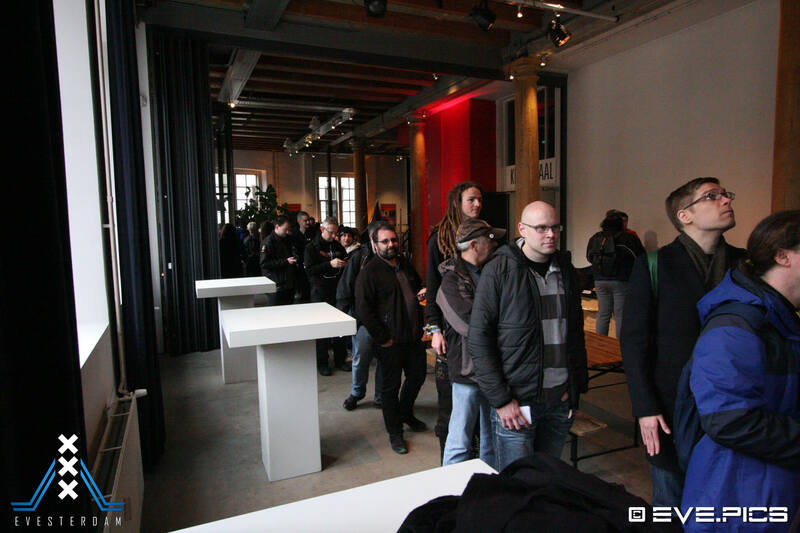 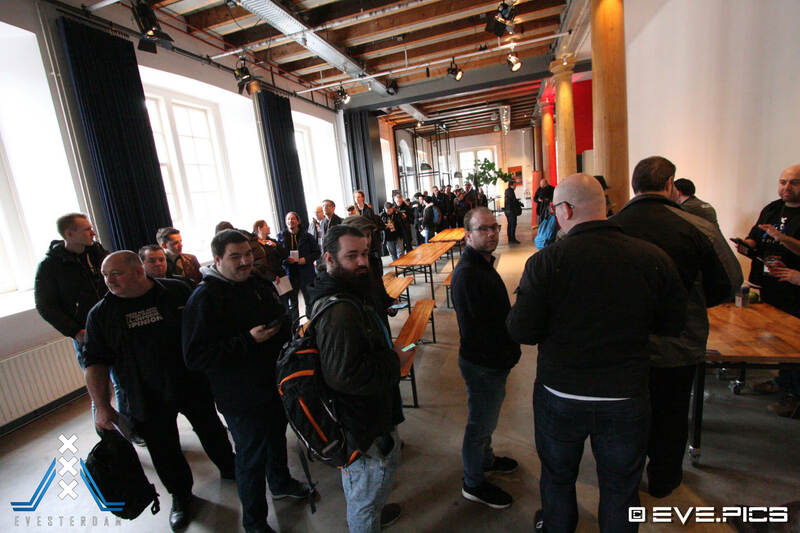 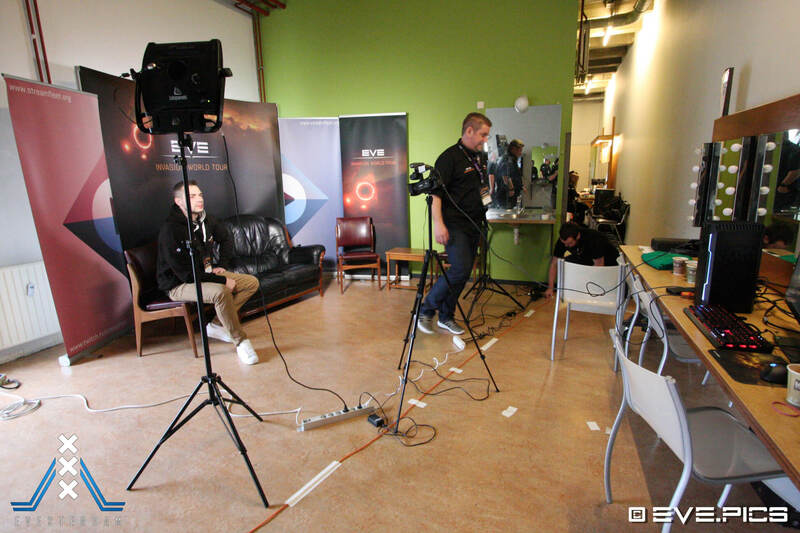 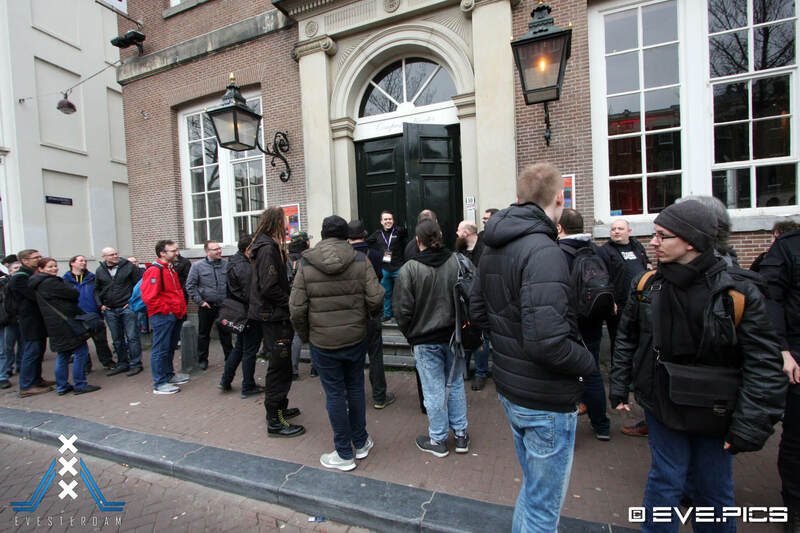 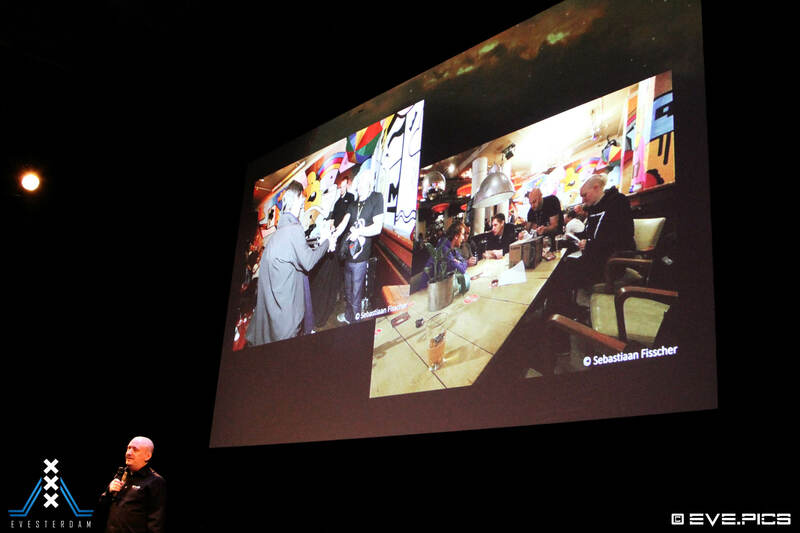 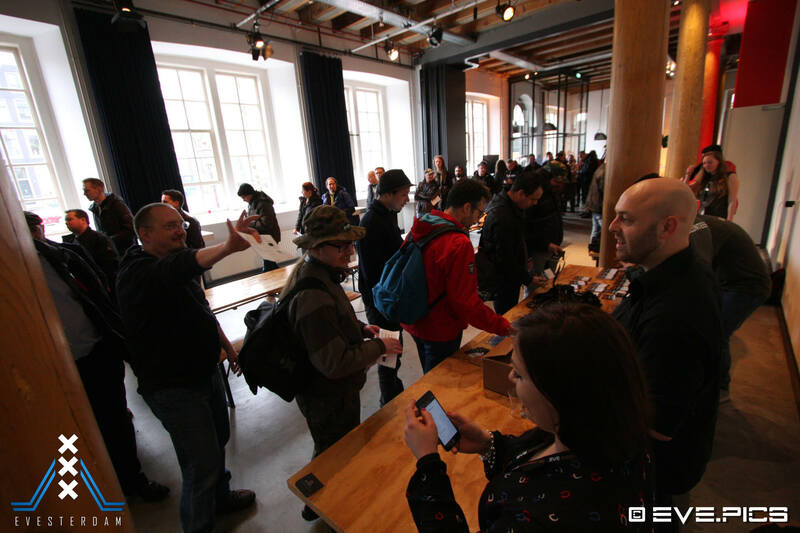 Hundreds of Eve Online pilots came to visit Evesterdam 2019 held at the Compagnie Theatre in Amsterdam. 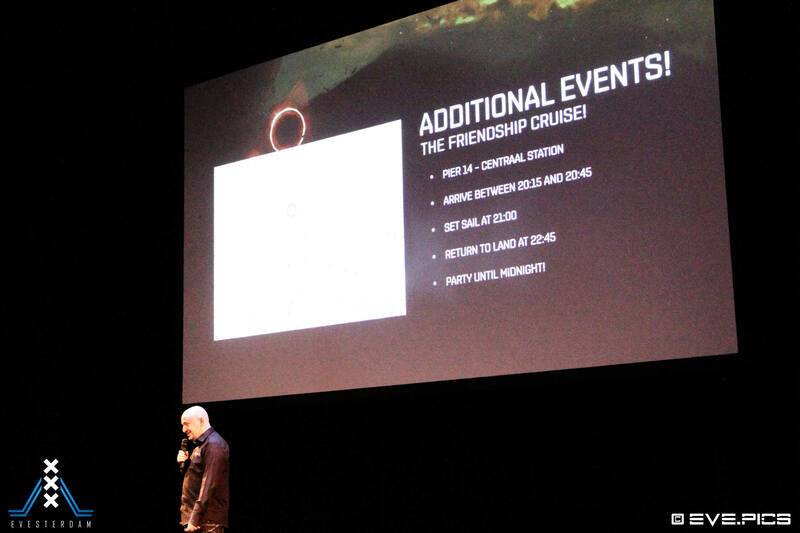 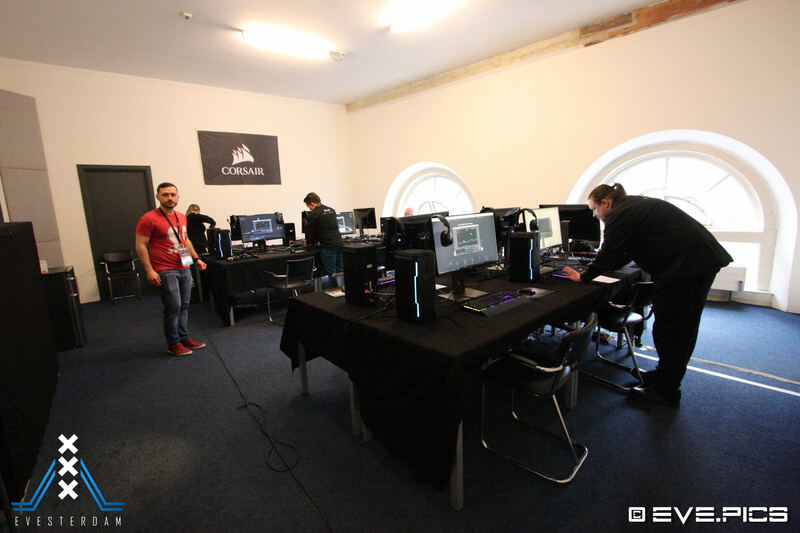 CCP decided this year to split up Fanfest into a couple of smaller events spread across the globe. 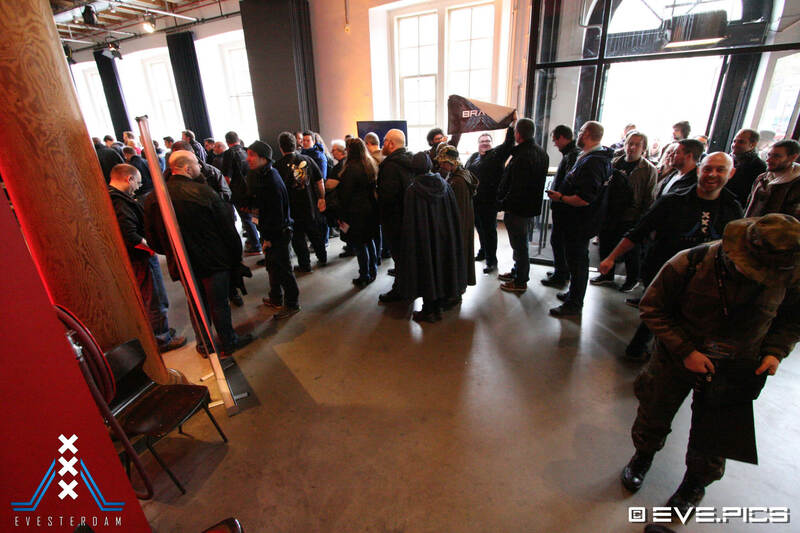 You could say that Evesterdam and Fanfest were combined this year, so there was a way bigger CCP developer presence this year. 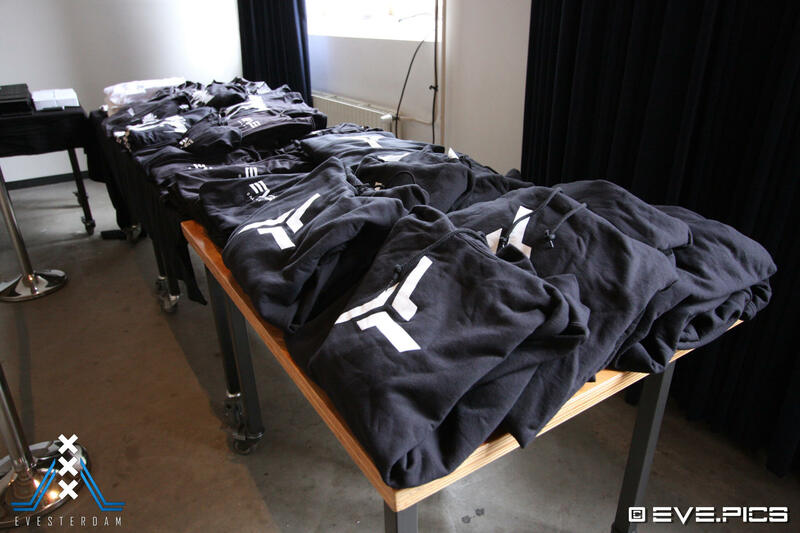 We got some awesome goodies on the first day of Evesterdam 2019. 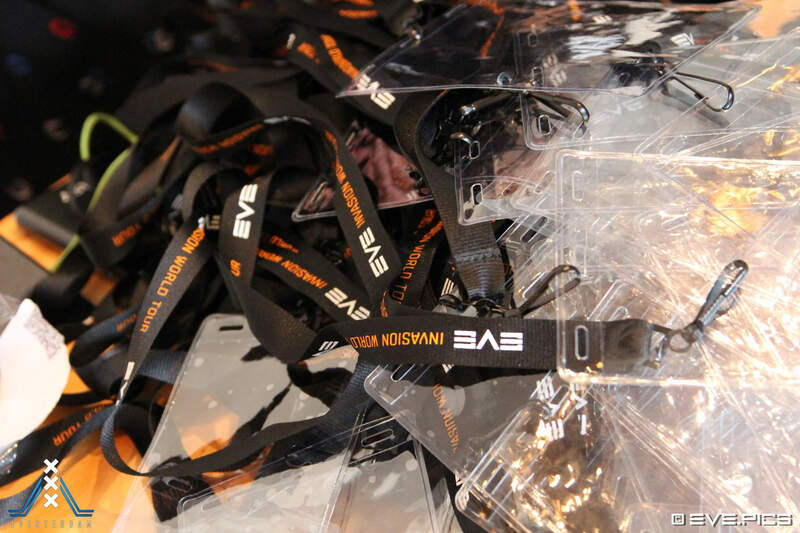 The t-shirt and lanyard look amazing, but the coolest thing is the Triglavian skin pack we got. 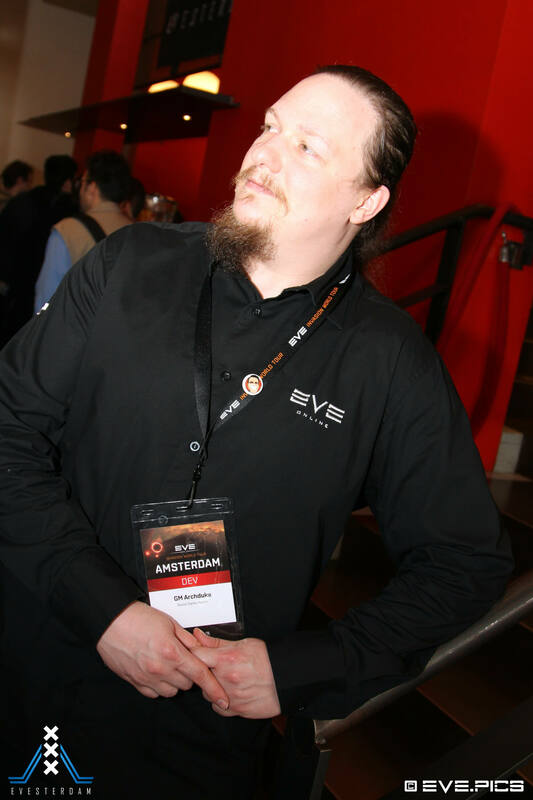 The Netherworld Striker SKIN (derived from the Netherlands) looks amazing, and the orange reflects the Dutch Royal Family colour. 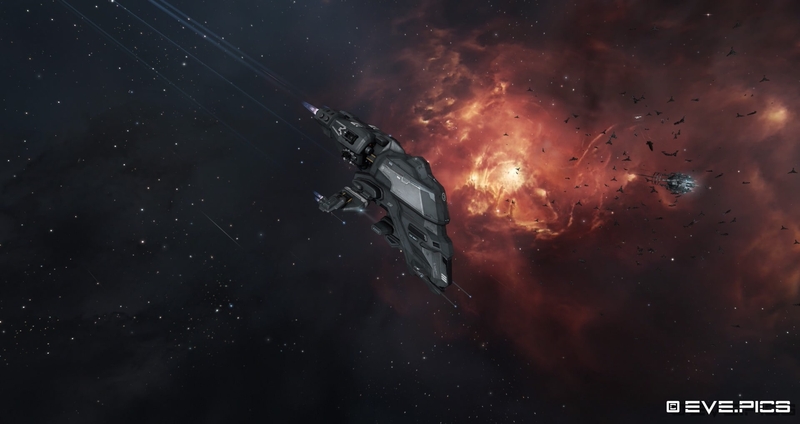 CCP really outdid themselves by giving us such an amazing way to pay tribute to our home country. 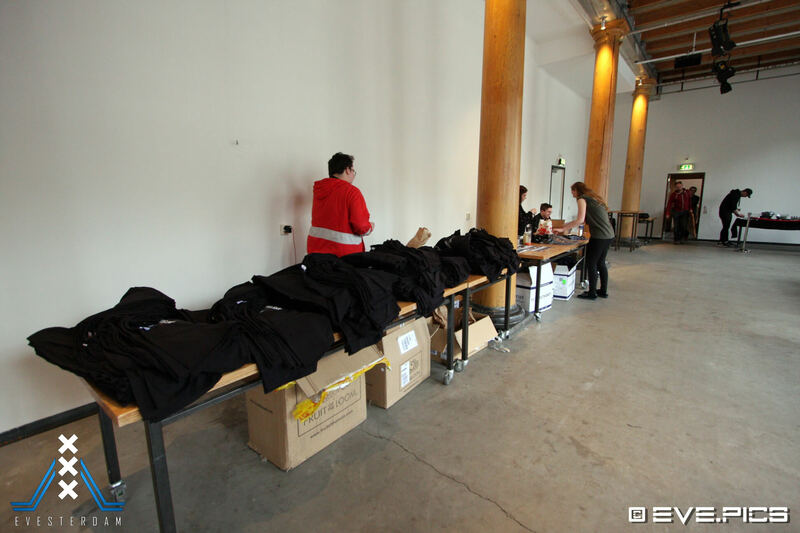 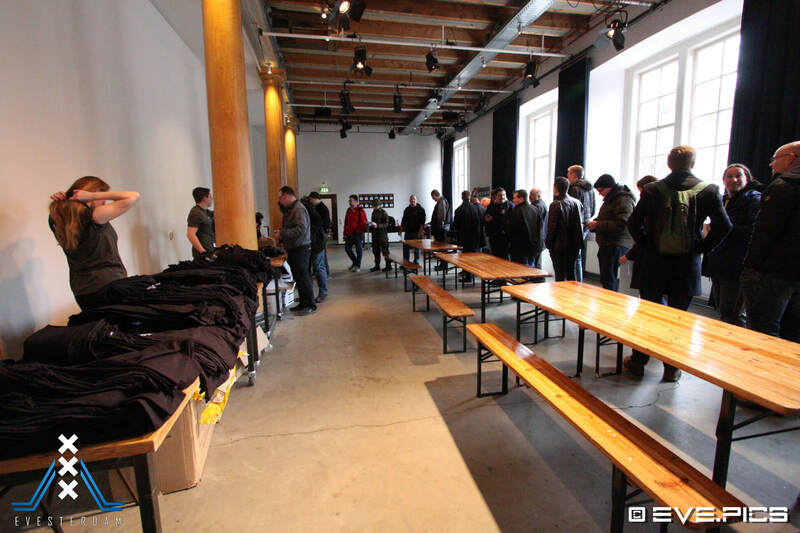 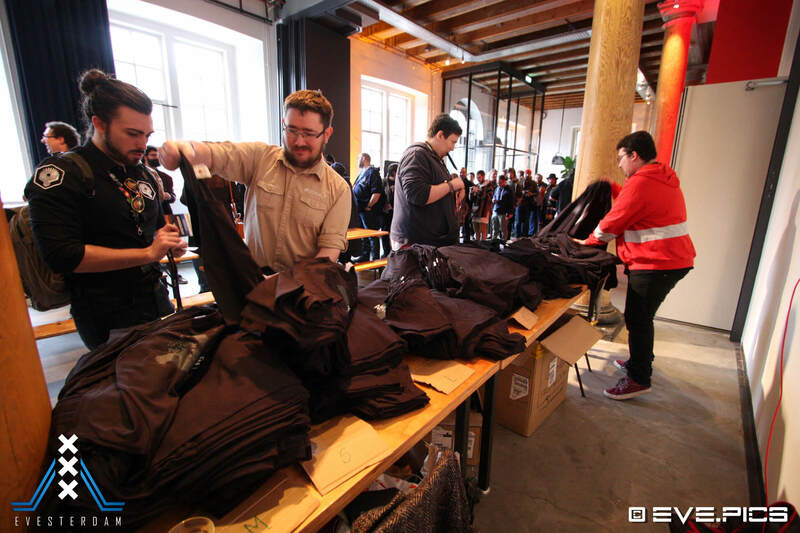 There was also an Eve Online merchandise store this time, so attendees could stock up on their Eve nerd gadgets and attire. 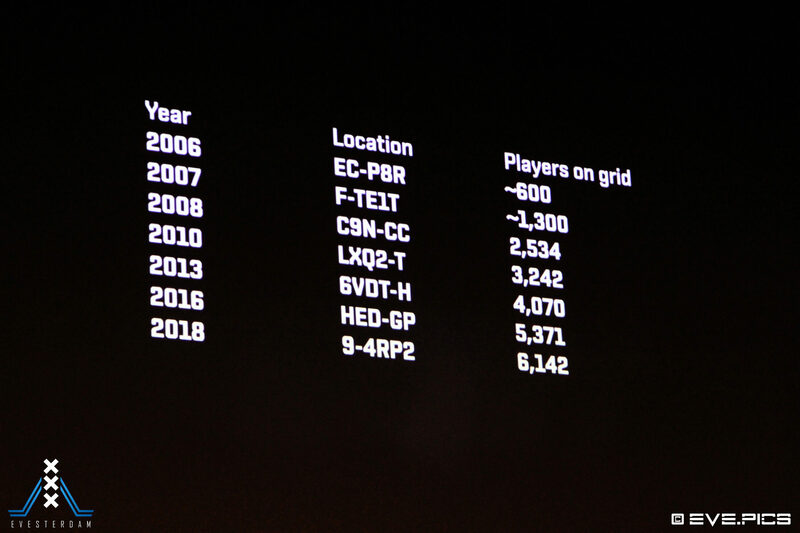 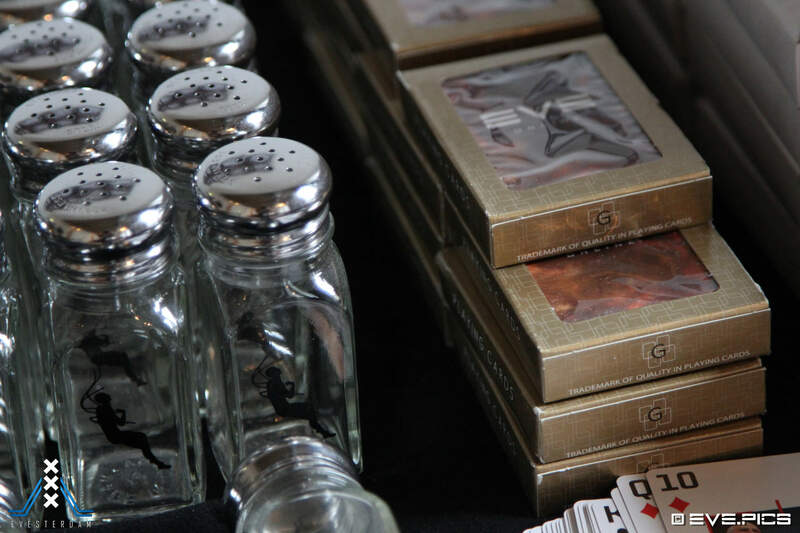 Other than previous years, there were less player presentations than CCP presentations. 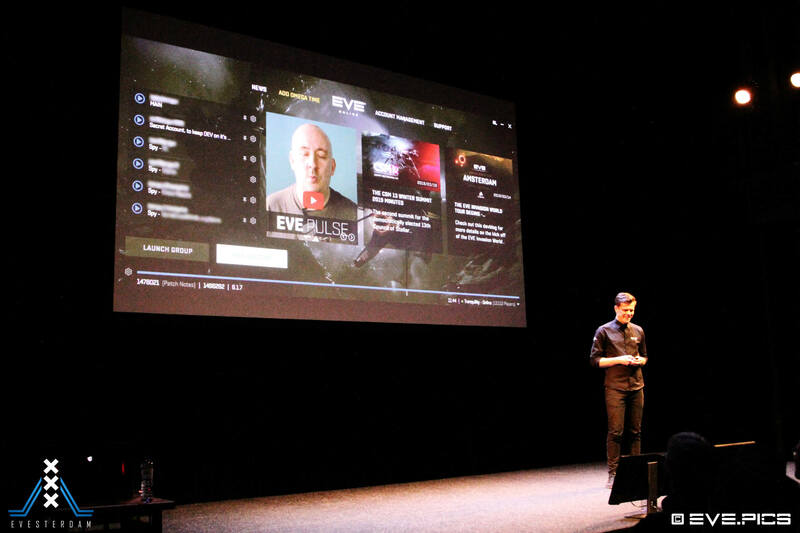 It was sad that the player presentation on game addiction got cancelled, I was really looking forward to that. 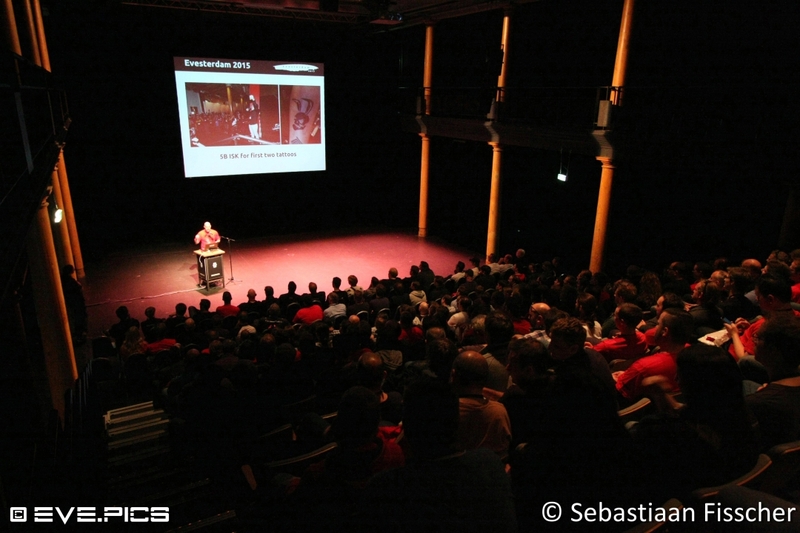 The player presentation that really stuck to me was the one on how to be an FC by Red vs Blue. 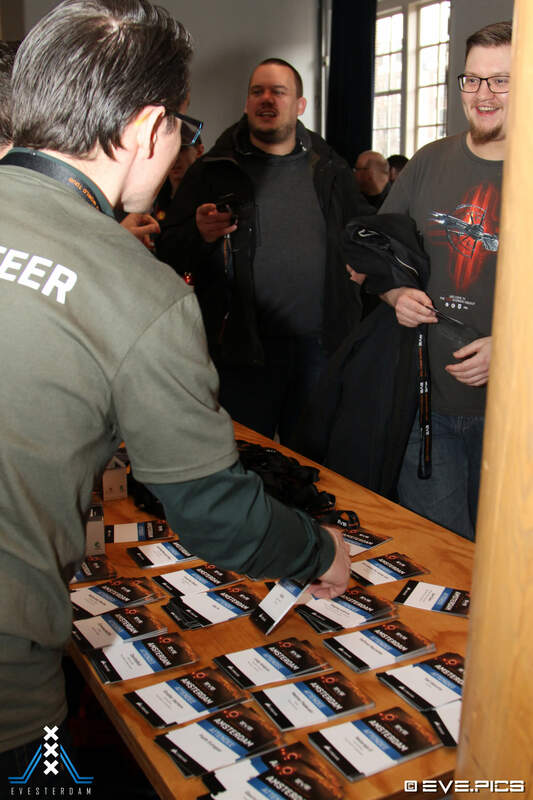 I will make sure to use those tips to try my luck at FC’ing again. 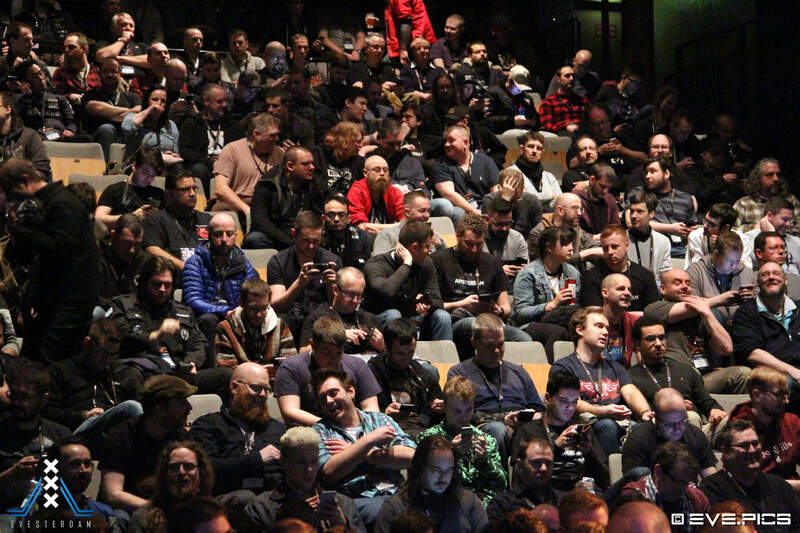 There were a lot of developer presentations this year. 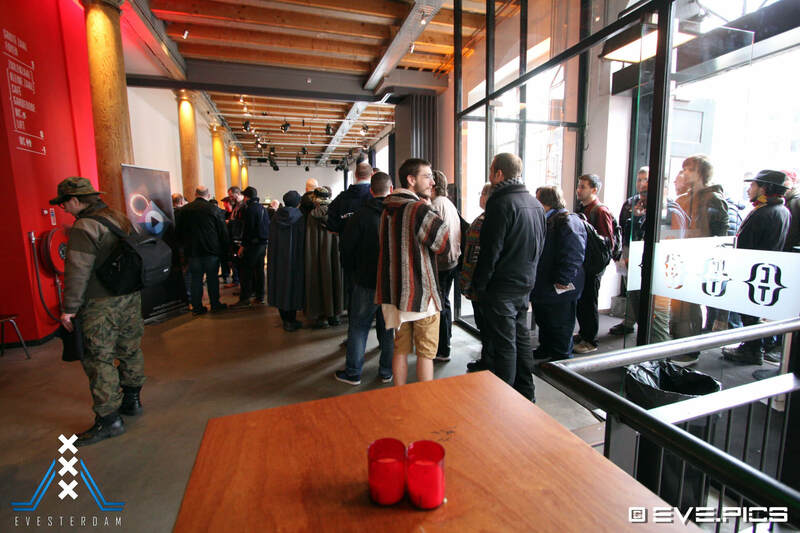 It all felt as if it was a mini Fanfest because of that, which is a good thing. 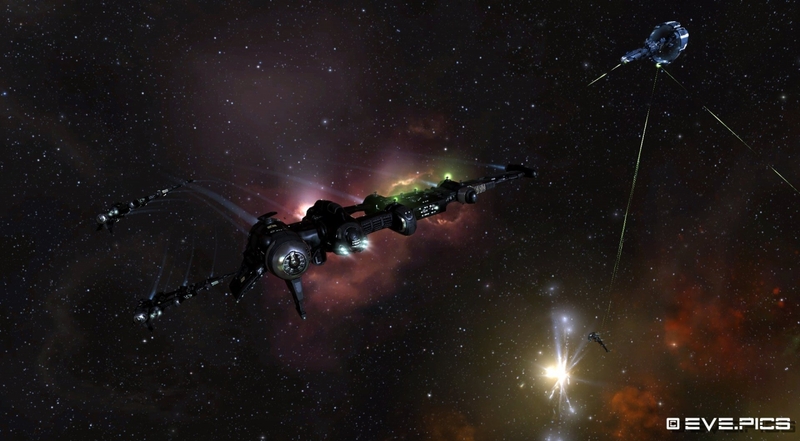 The in-depth changes and the reasons some alterations are being made to Eve are really interesting to hear. 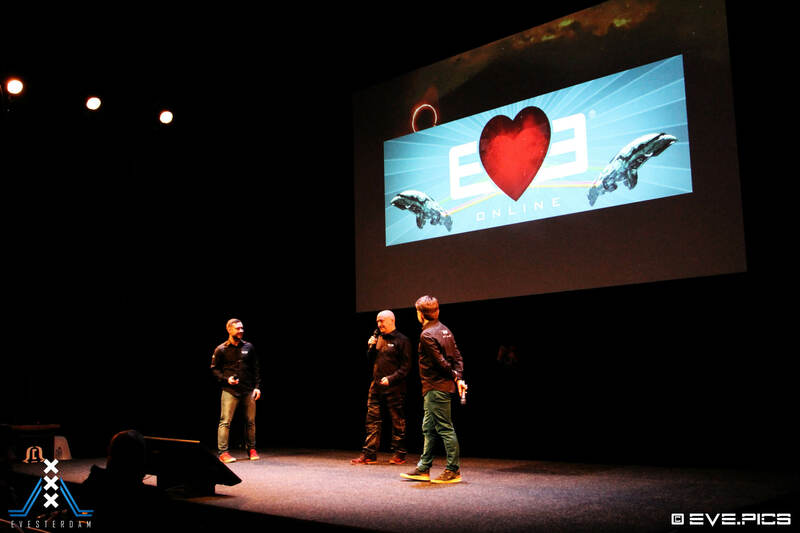 My favourite developer presentations were by CCP Ghost, the CCP AMA, and the Evesterdam Closing Ceremony. 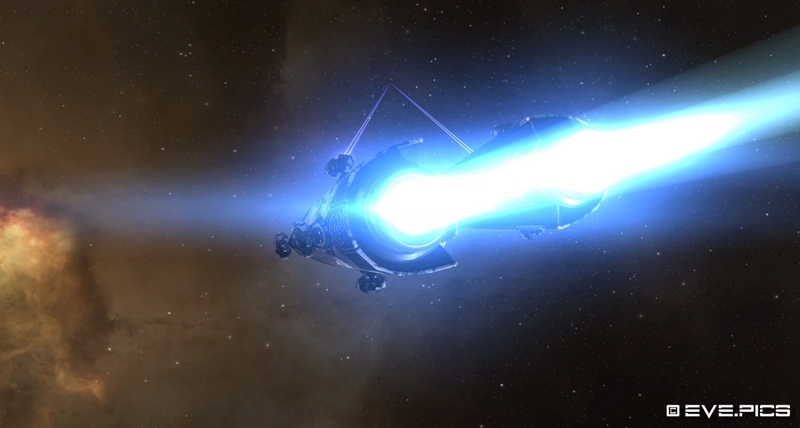 I was baffled by the psychology versus data that CCP Ghost is able to research. 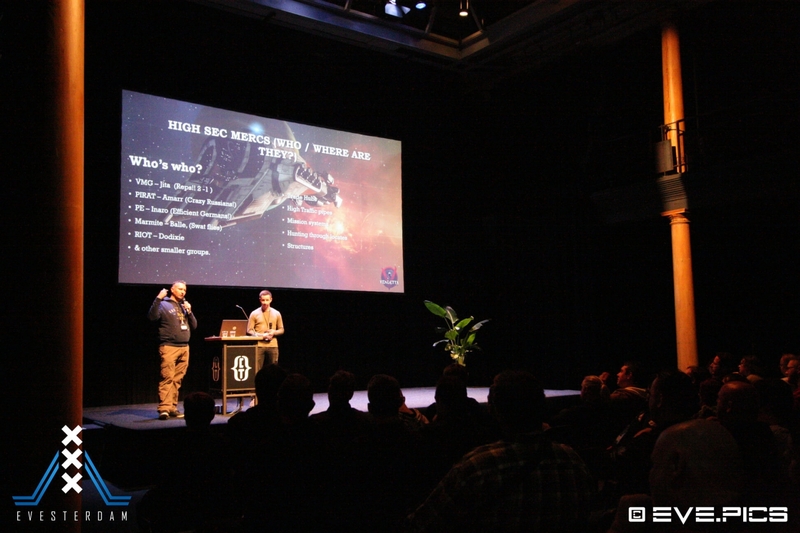 All the data basically points to the fact that pilots learn real-life social and business skills inside New Eden. 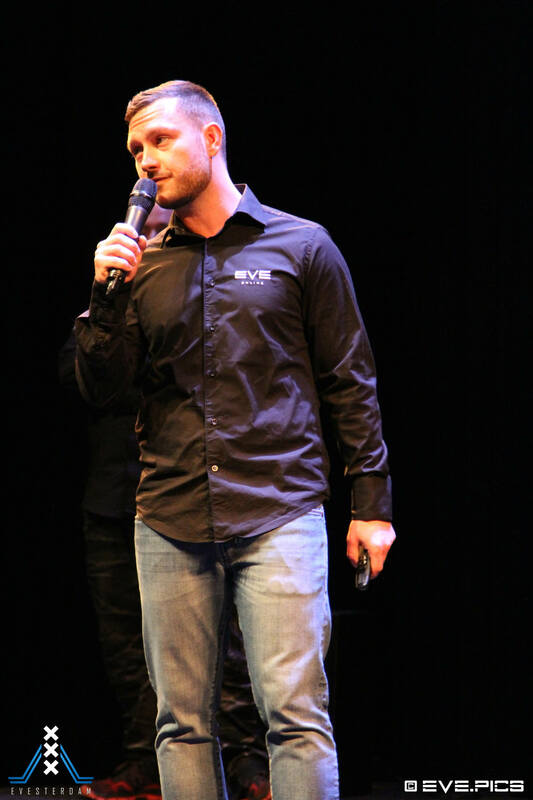 One person even started a multi-million dollar business with knowledge that he gained in the game. 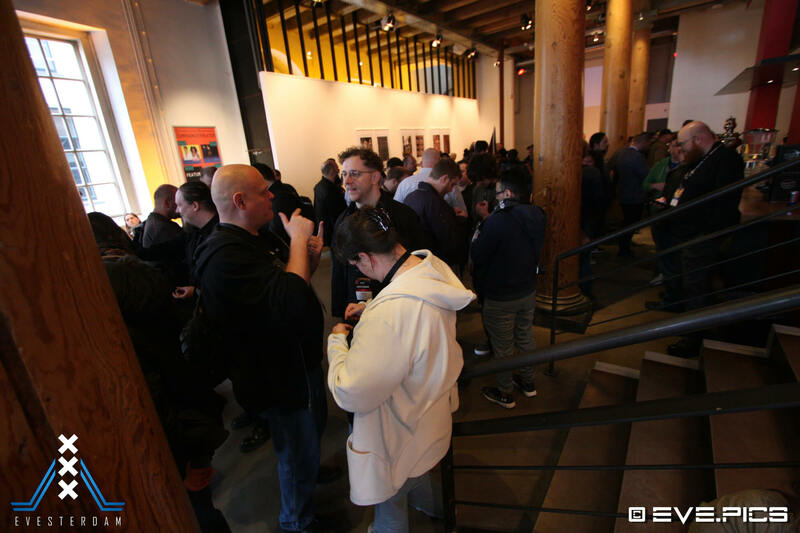 The CCP AMA was new to me because attendees were able to ask any and all questions to the available developers. 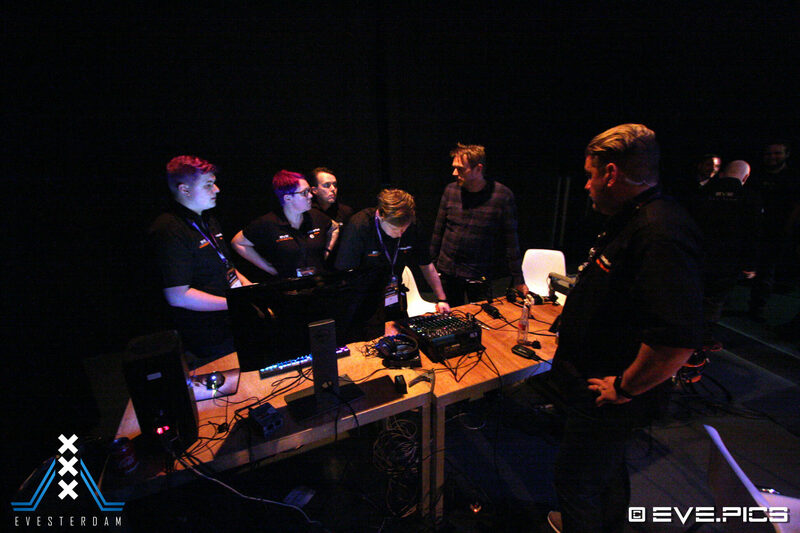 We learned that everyone except CCP Falcon likes pineapple pizza, how each CCP dev name was created and what their favourite colours are. 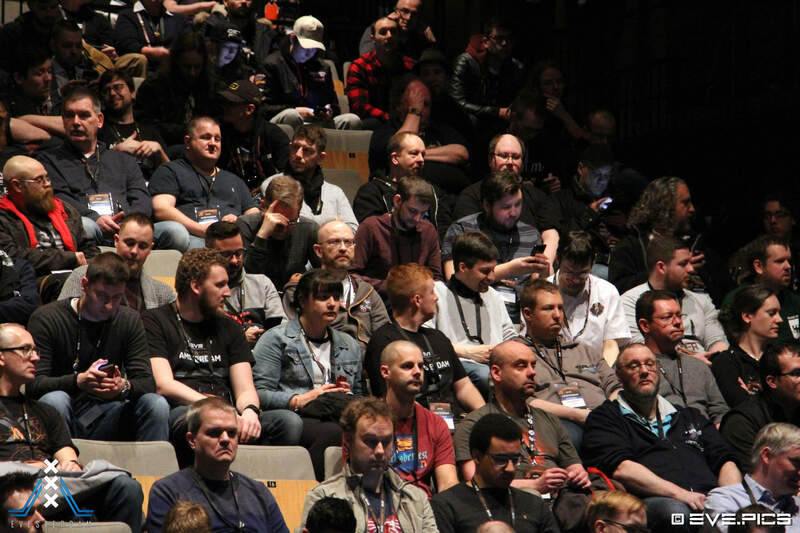 One attendee almost scored a date with CCP Ghost, though we don’t know for certain that she didn’t. 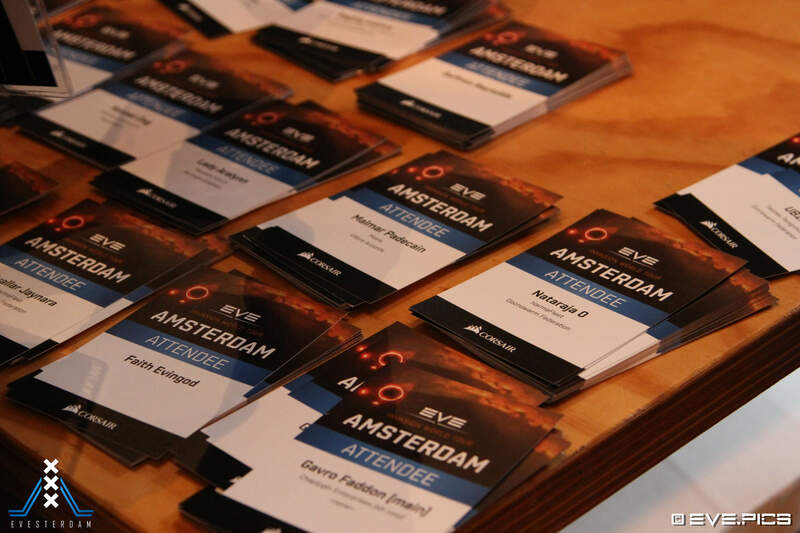 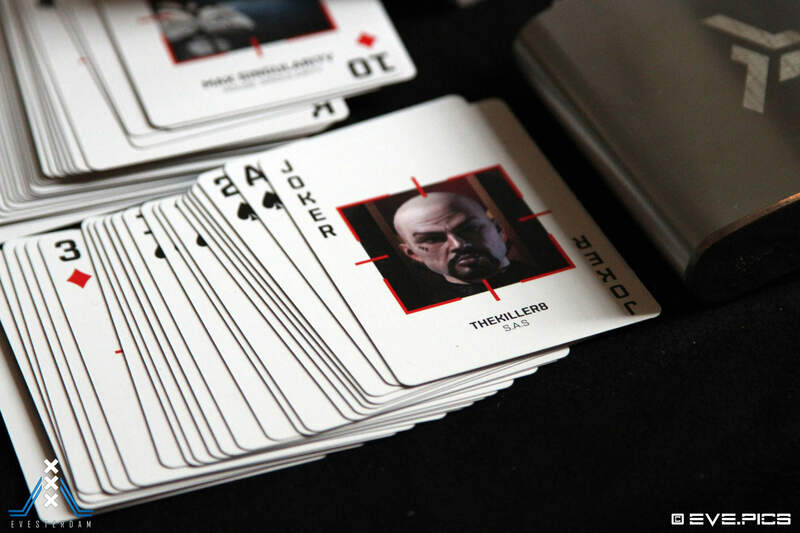 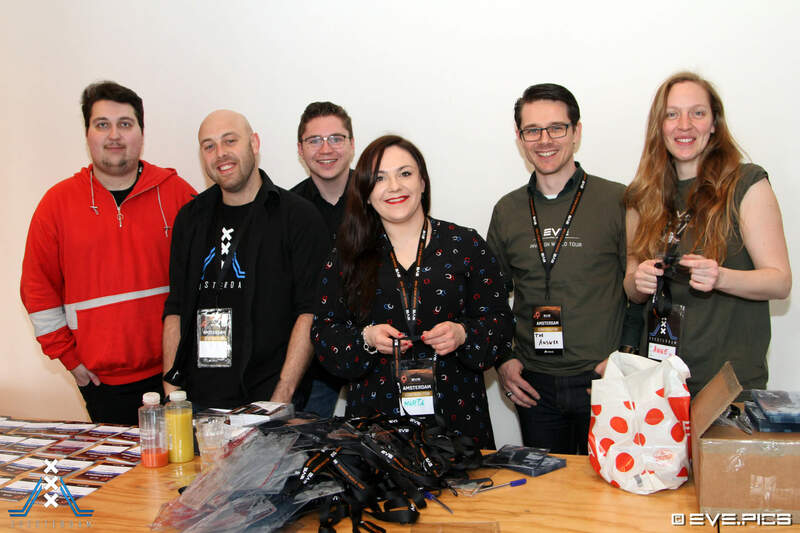 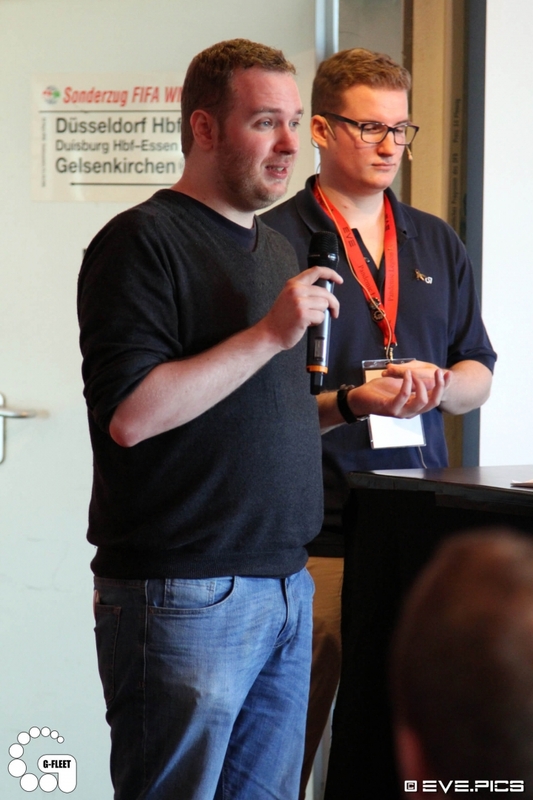 Besides the presentations, there was tons of other stuff to do at Evesterdam 2019 and Amsterdam in general. 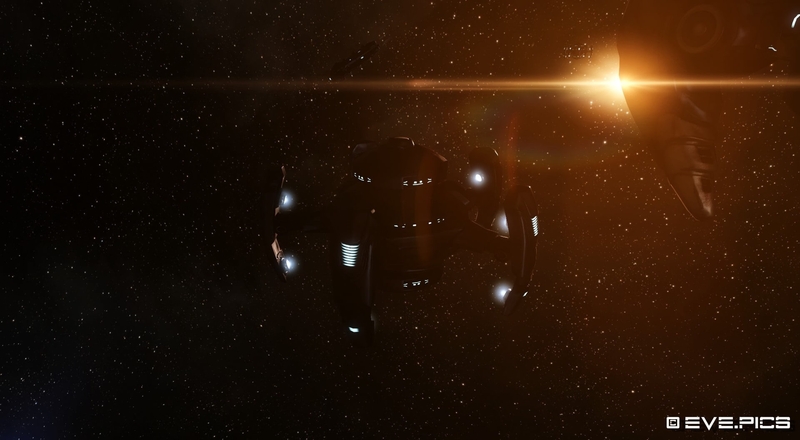 You were able to have a personal Eve ship drawing made by CCP Lulli, I’ve seen some pretty nice sketches that people got. 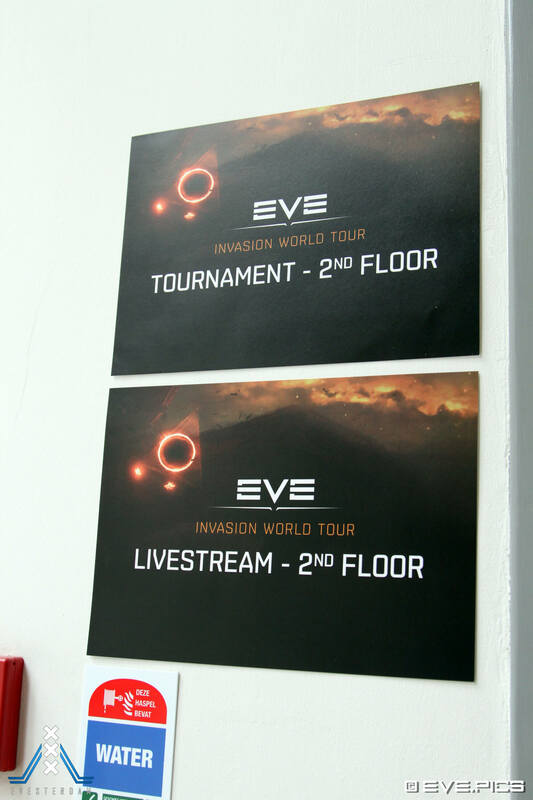 The Eve Invasion Tournament was also extra special. 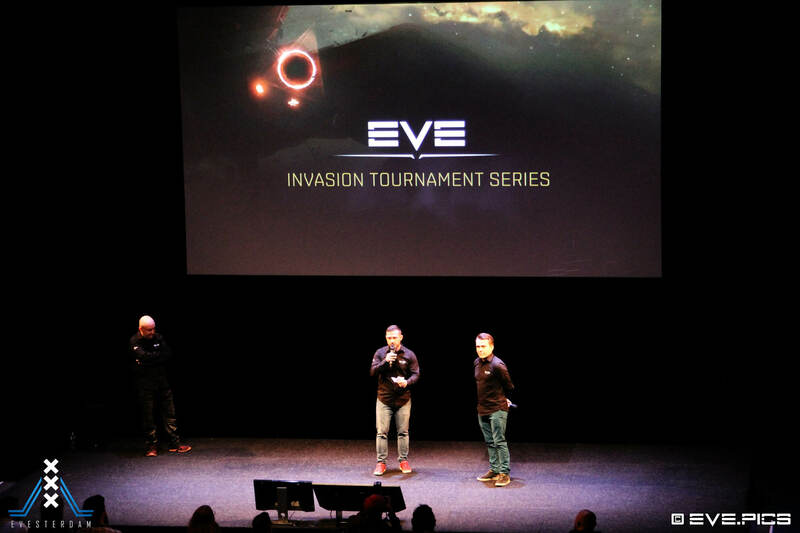 The winners of the Evesterdam event got free tickets to Eve Fanfest 2020 so they could fight in the final rounds of the tournament against the winners of other EVE events. 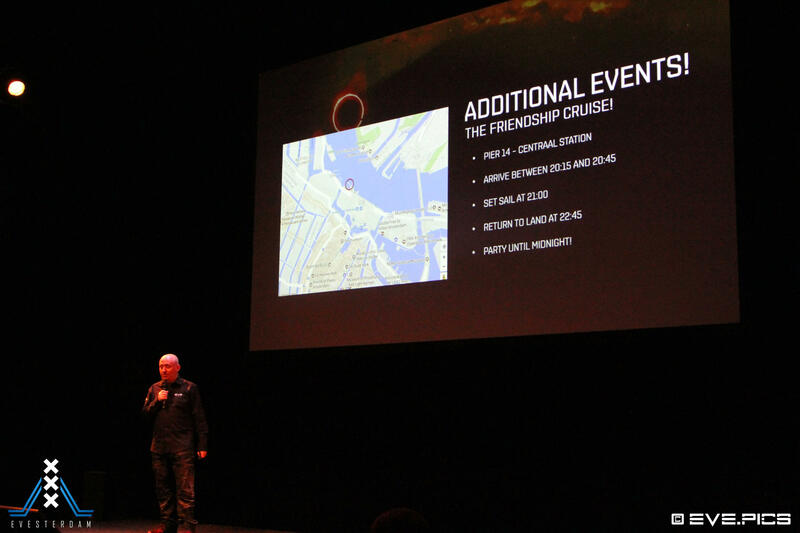 After the closing ceremony there was an organised ‘Friendship cruise’. 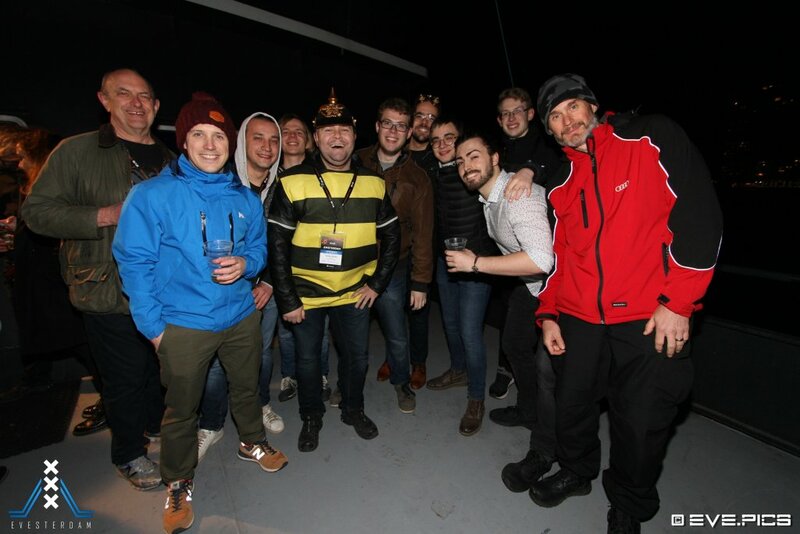 We all boarded this wicked large party boat and set sail. 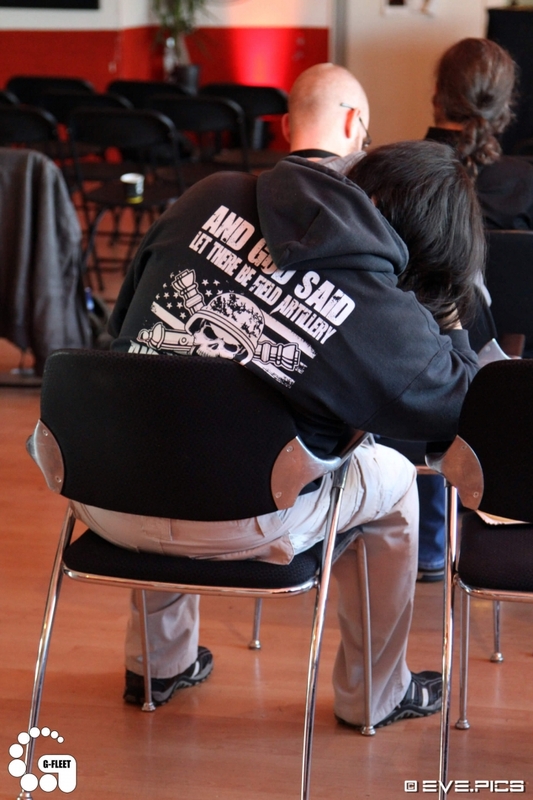 The music was a bit loud at times but everyone enjoyed themselves. 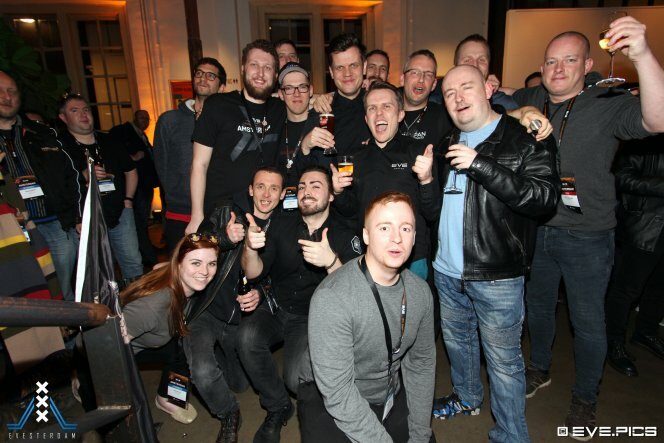 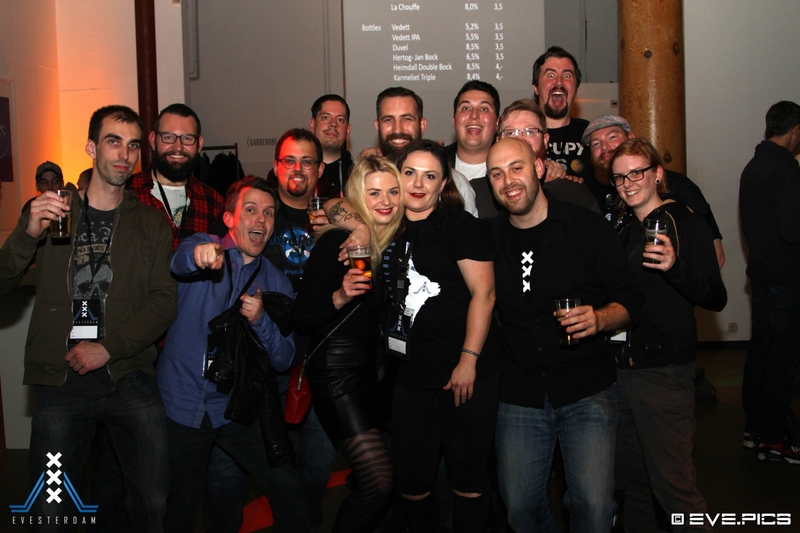 We all got the chance to party with all the CCP devs and to chat up war stories with each other. 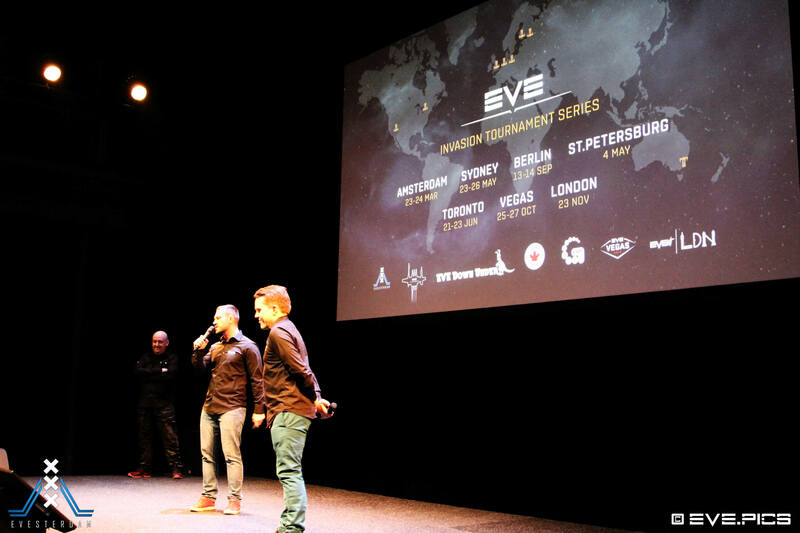 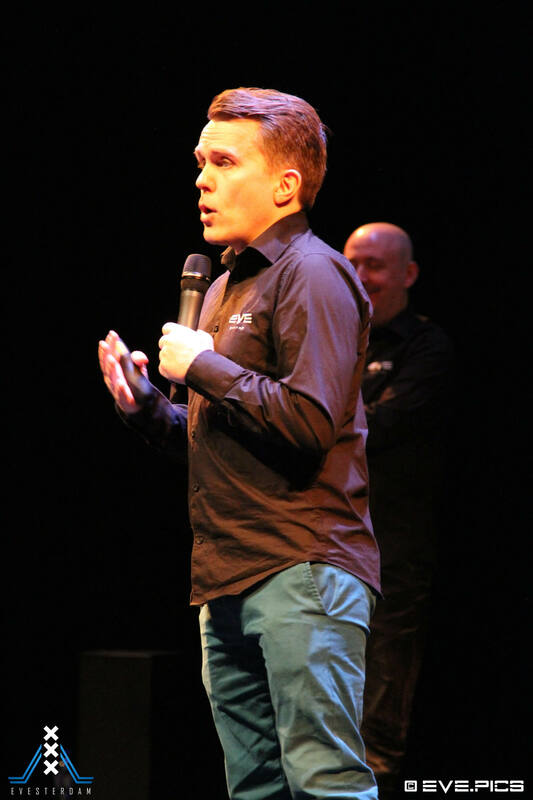 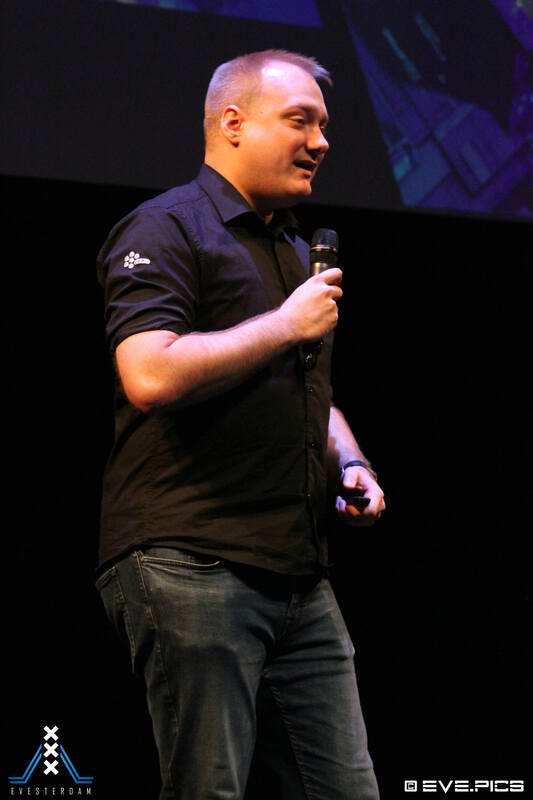 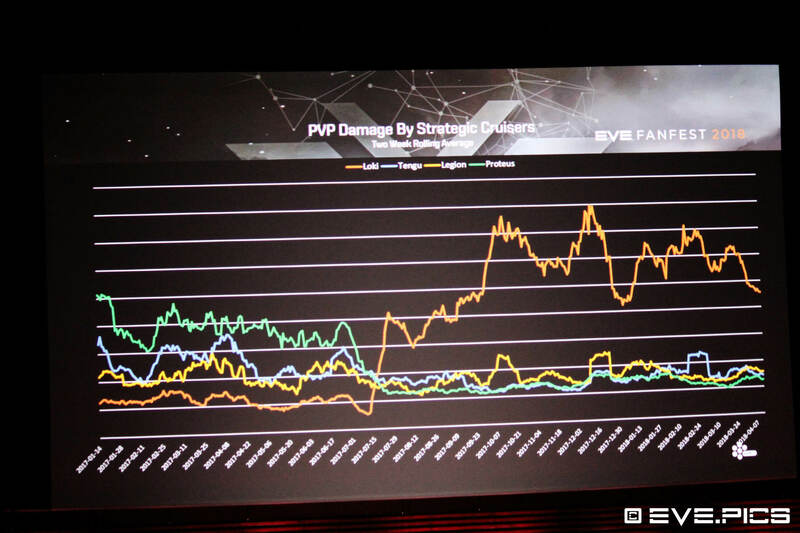 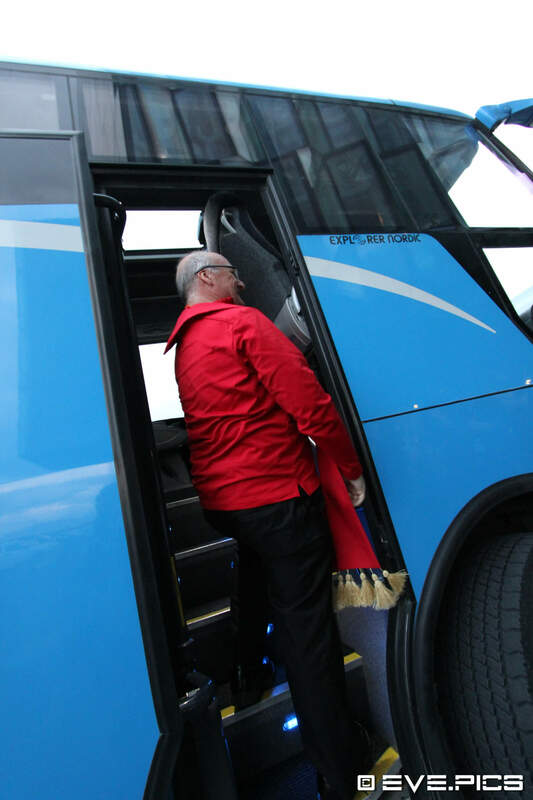 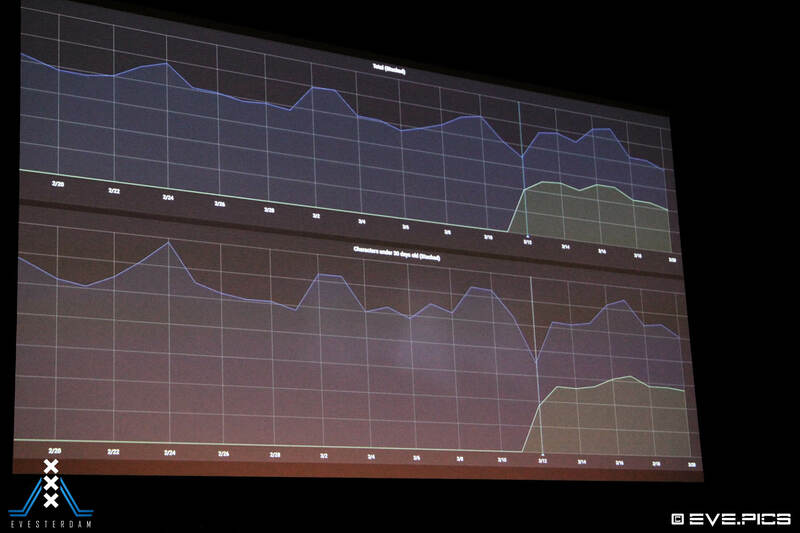 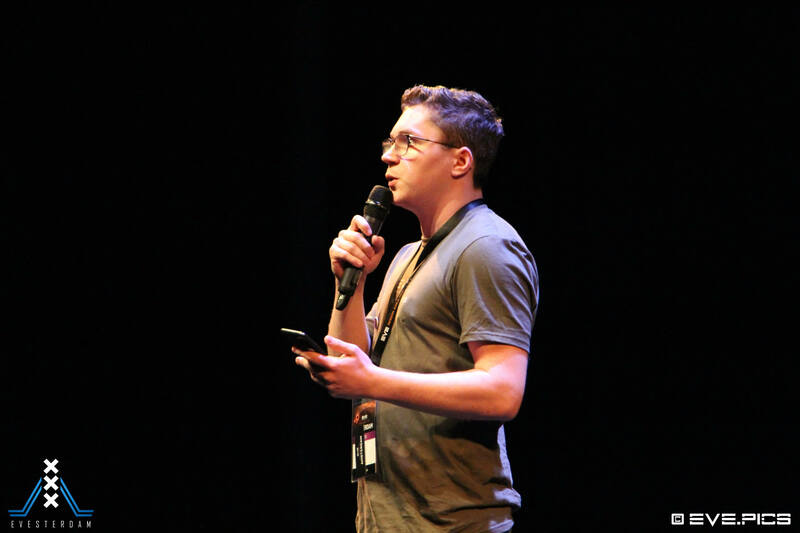 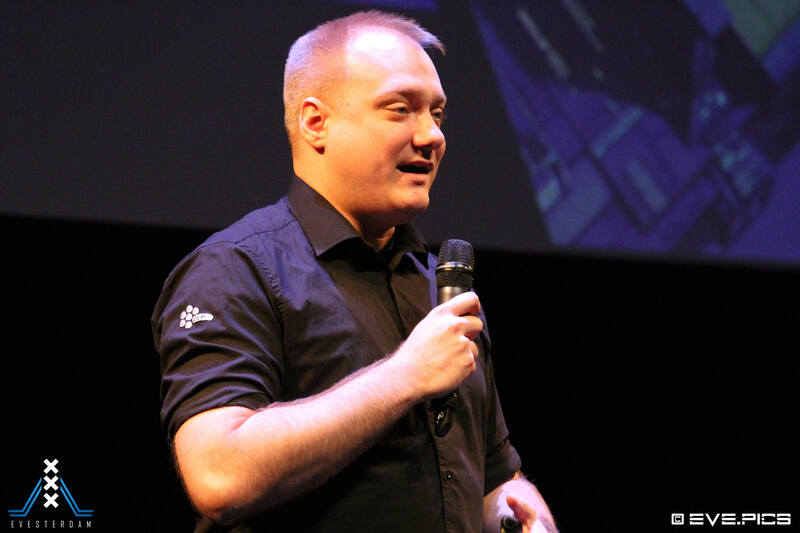 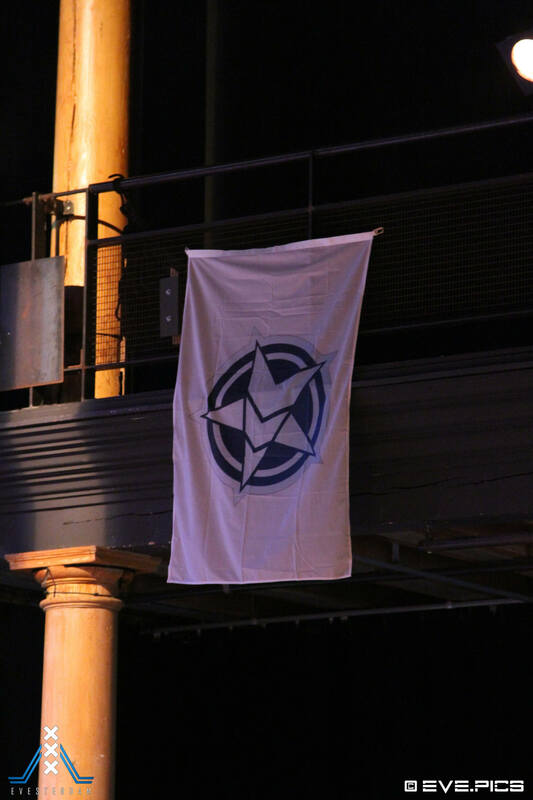 Evesterdam 2019 also marked a bitter moment in Eve history, as it was the last event before CCP Guard left CCP Games. 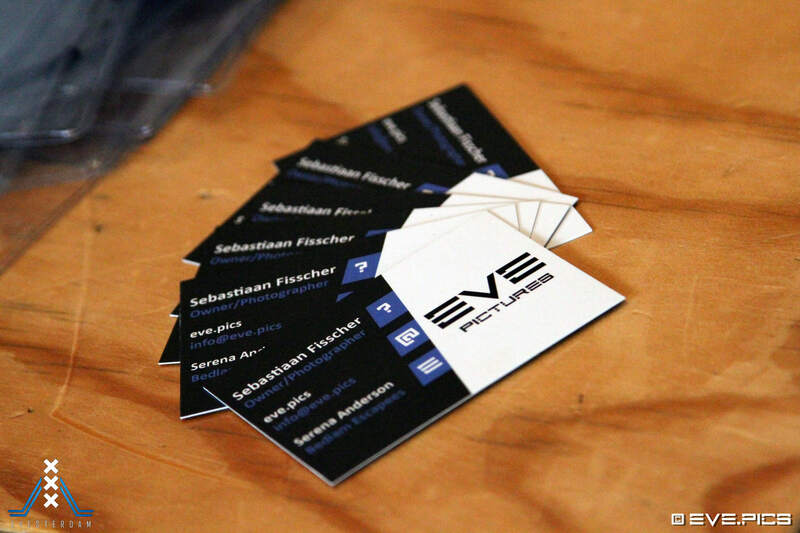 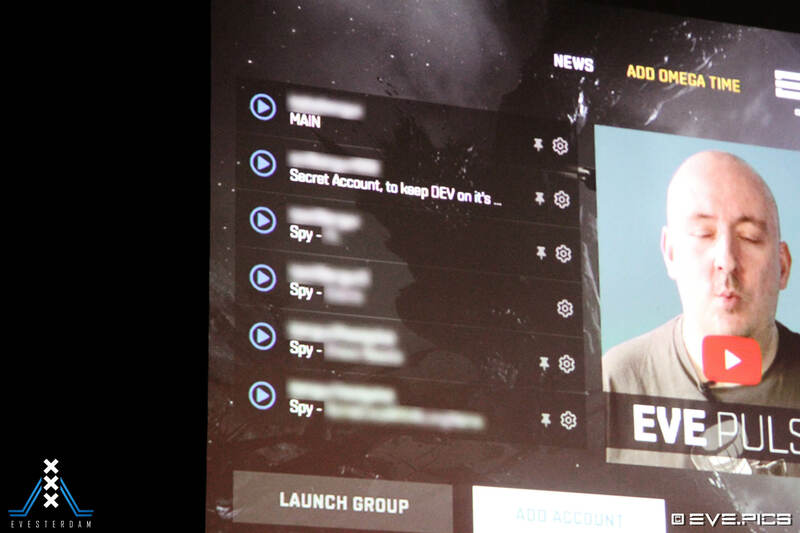 During the closing ceremony we surprised Guard with personal messages from a lot of famous Eve Online people. 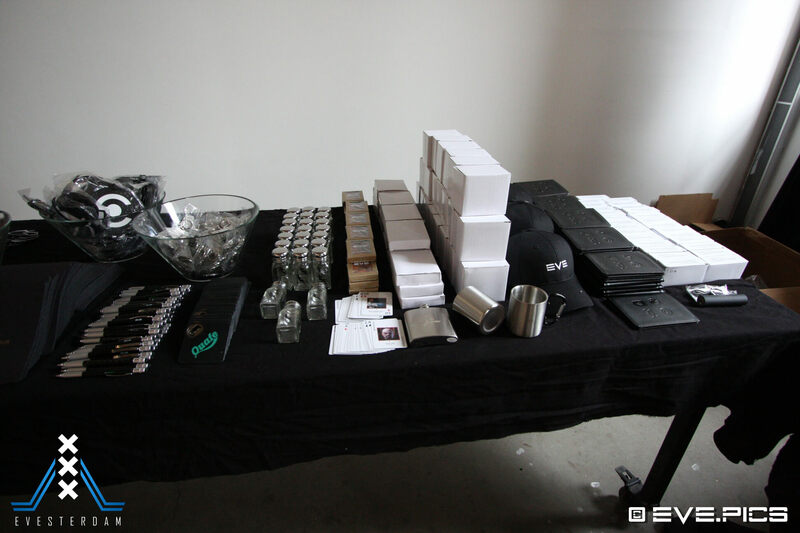 We also surprised him with gifts. 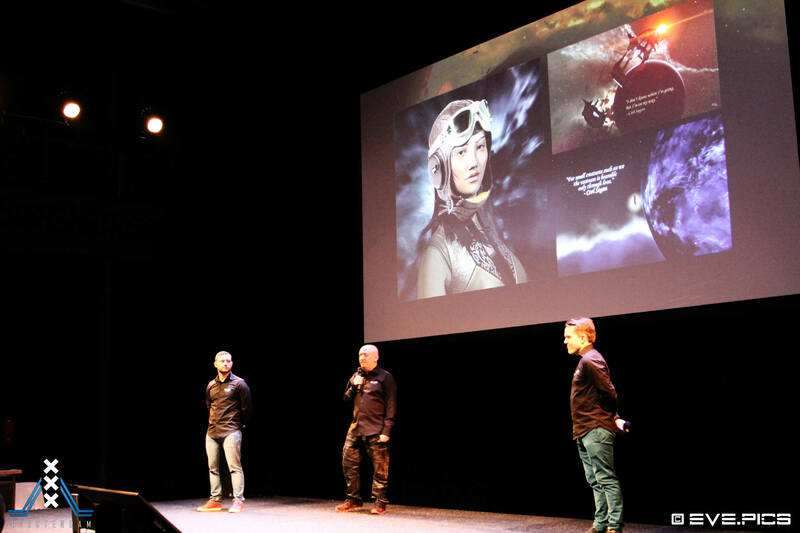 Some pilots gave him extra spicy chilli, Belgian beers and a custom artwork piece printed on aluminium. 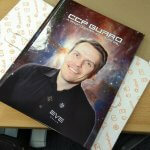 Eve.pics teamed up with a couple of folks from Apocalypse Now, Stranger Danger and Central Omni Galactic Group and printed a photo album for CCP Guard. 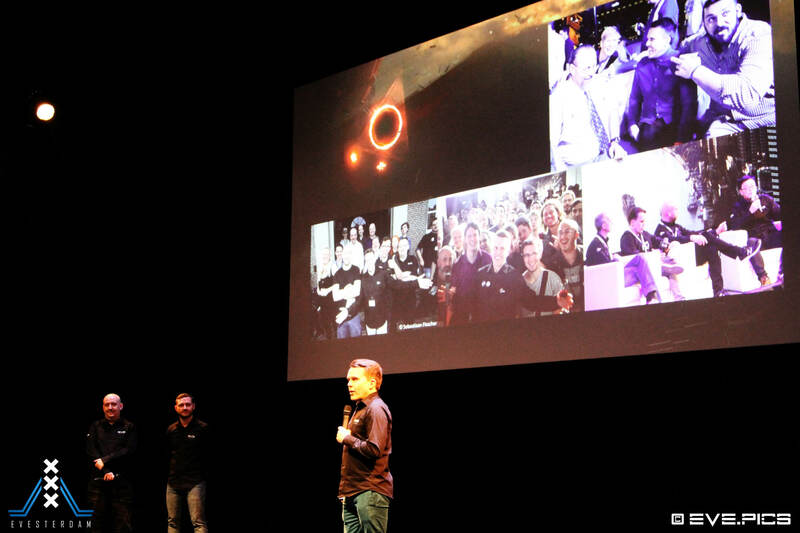 It contains all the cool photos I made of Guard over the past couple years. 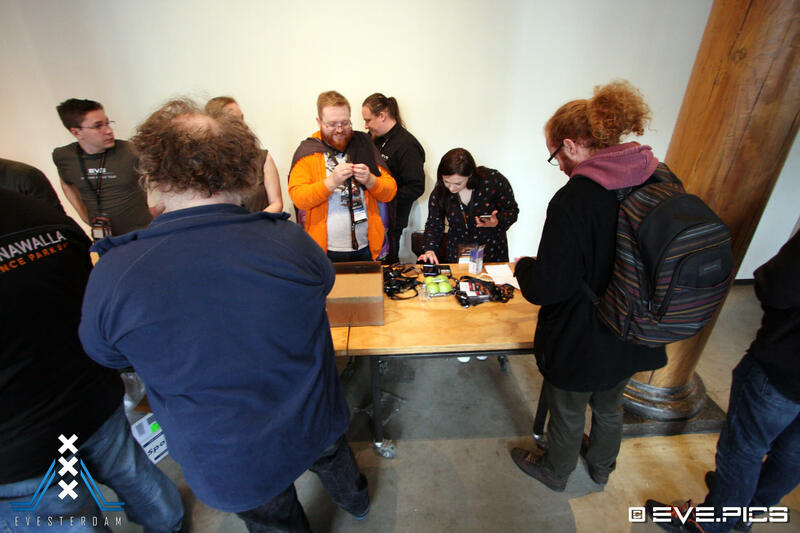 I also included a USB stick with all the digital photos. 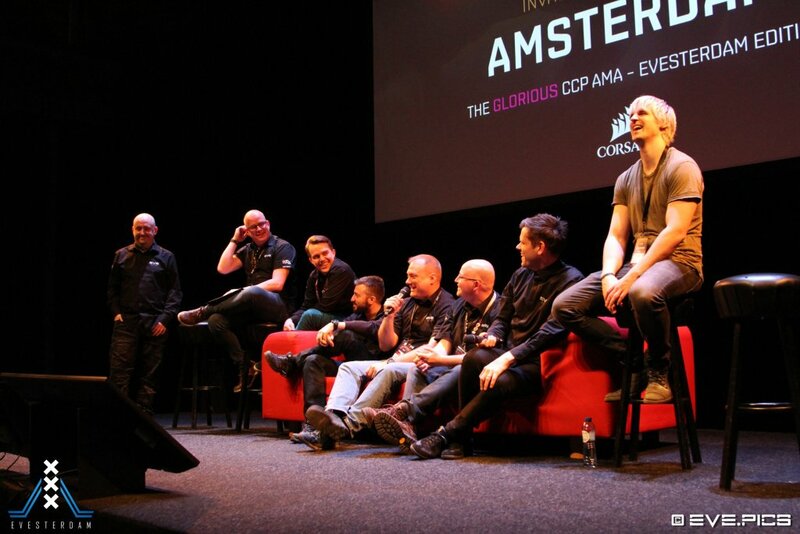 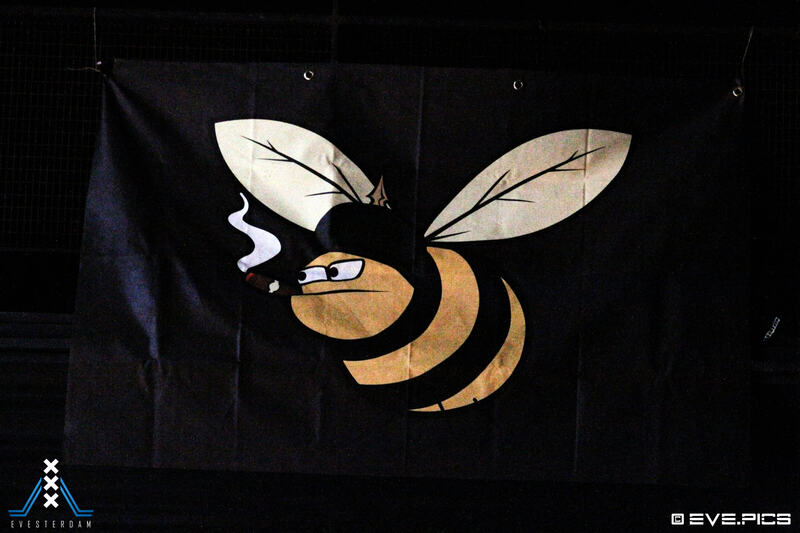 Evesterdam 2019 was an unforgettable event and it’s one of my favourite Eve Online events up until now. 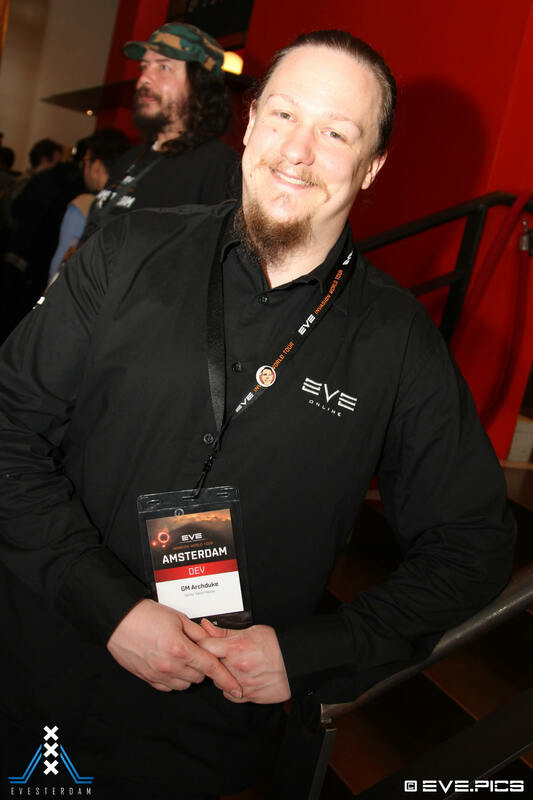 I want to thank CCP and the volunteers at Evesterdam for making all of this possible and for giving us an awesome weekend that we are not likely to forget.